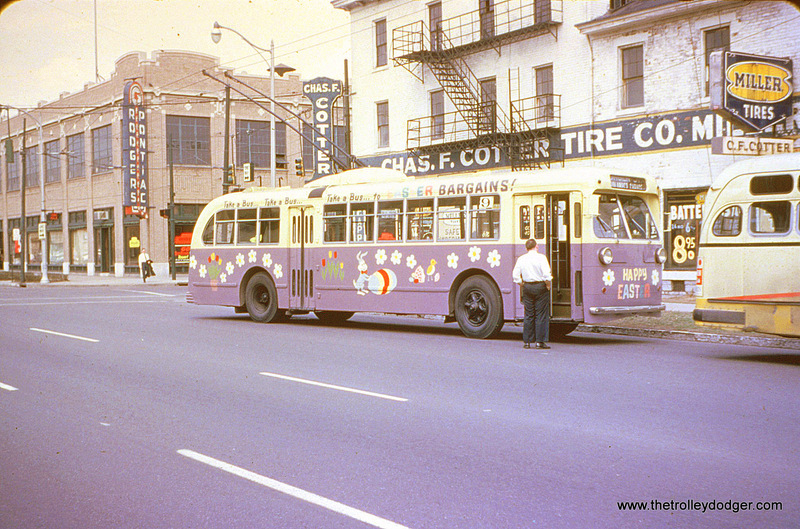 Today, we feature color slides taken in Chicago and Philadelphia. 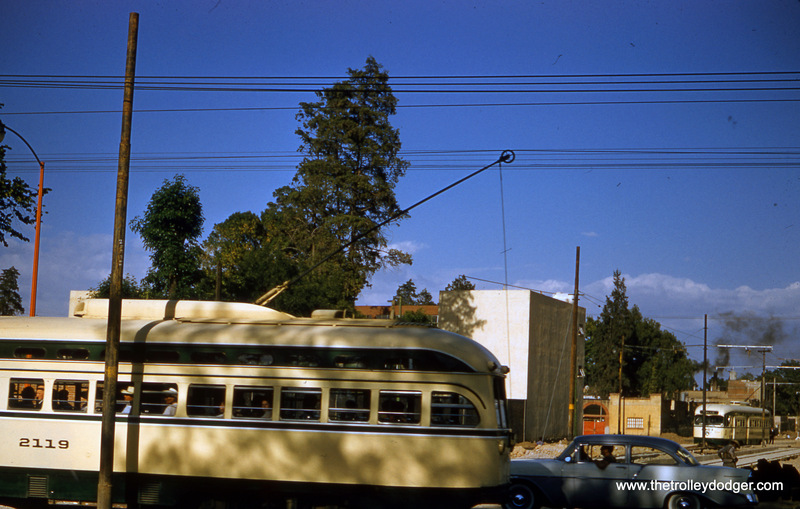 Those are the “two cities” in our title, but we also make brief side trips to Los Angeles and Mexico City. 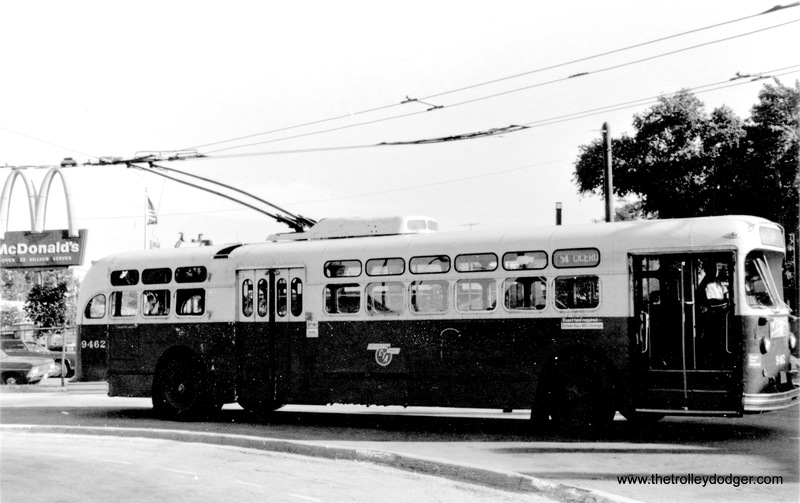 Somehow, though A Tale of Four Cities just doesn’t have the same ring. 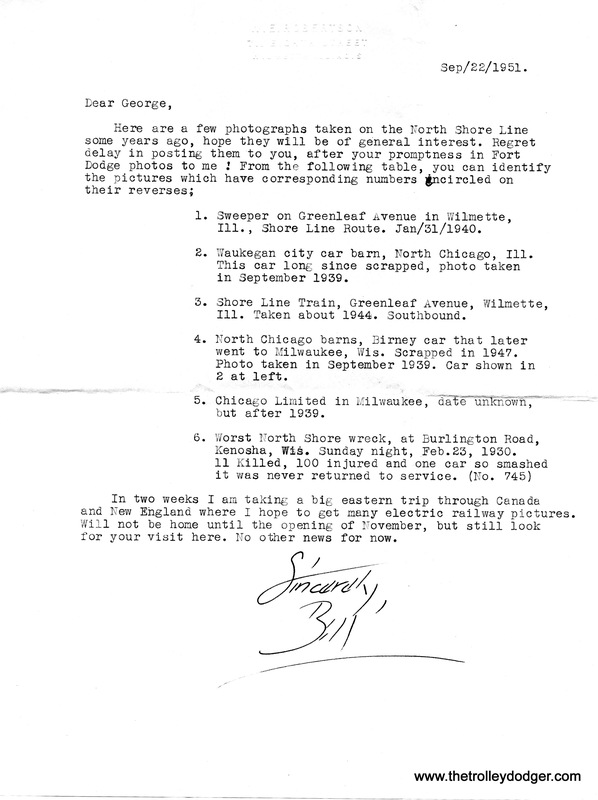 Come to think of it, some of these pictures were taken in Milwaukee and South Bend, so that’s even more cities. 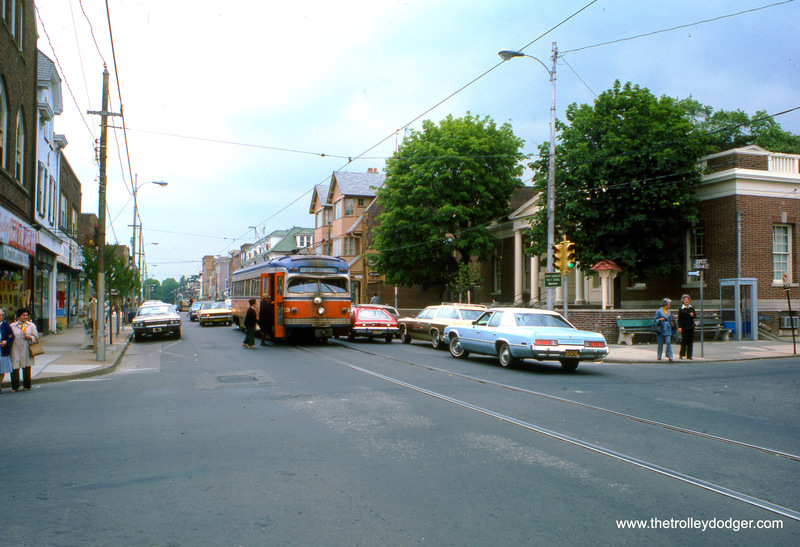 Chicago’s transit system and Philadelphia’s have shared a few things in common over the years. 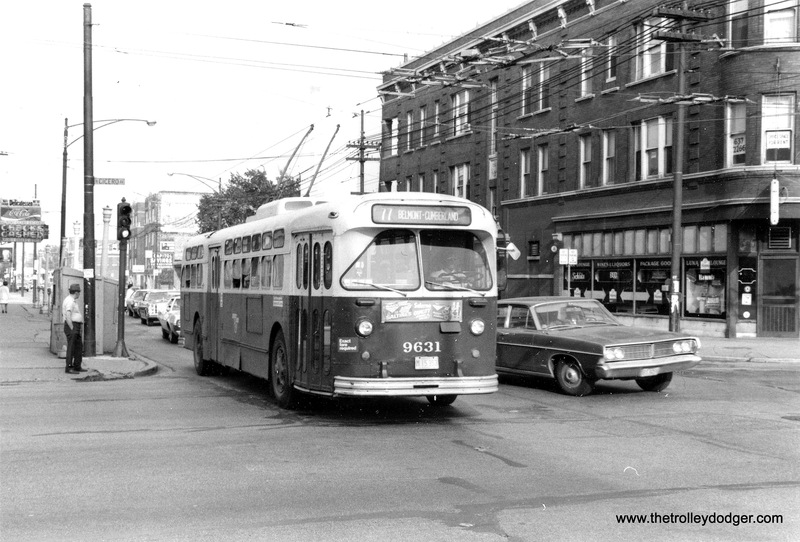 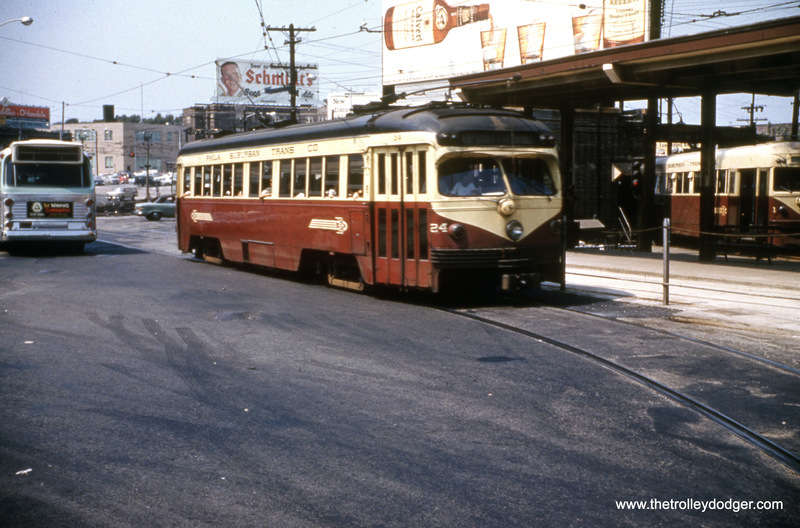 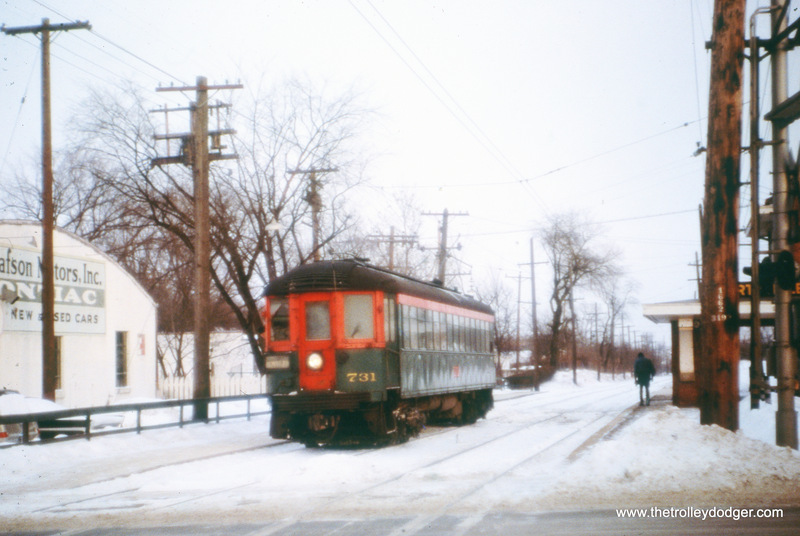 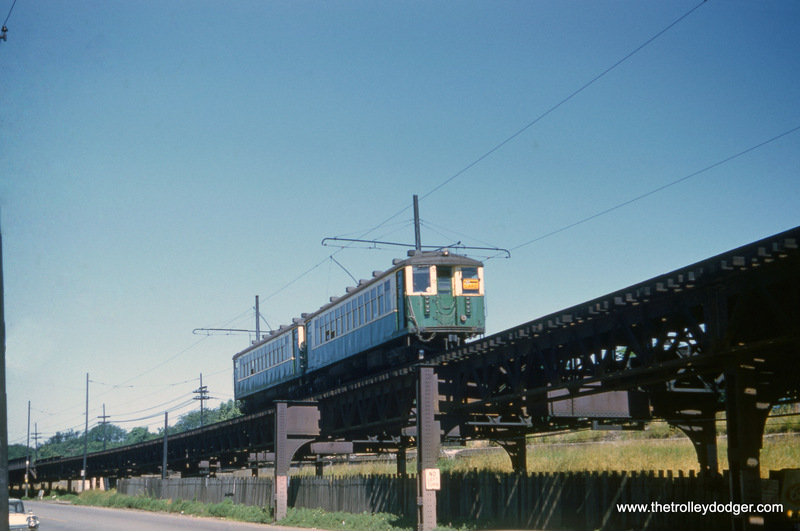 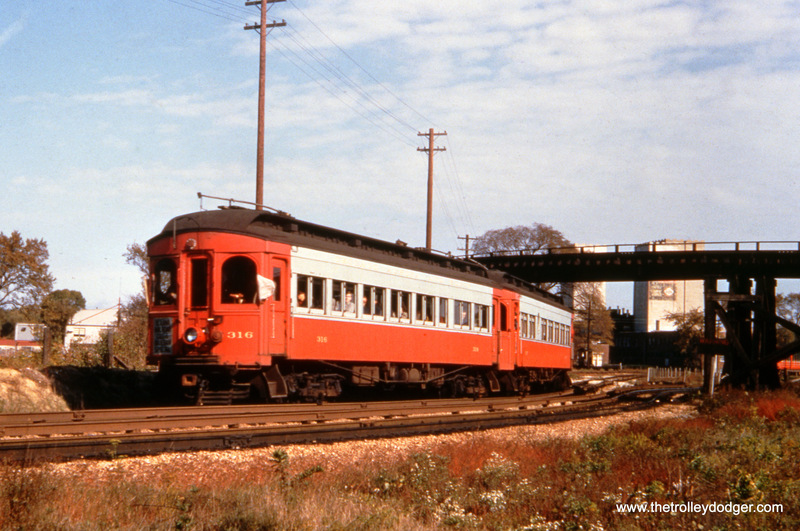 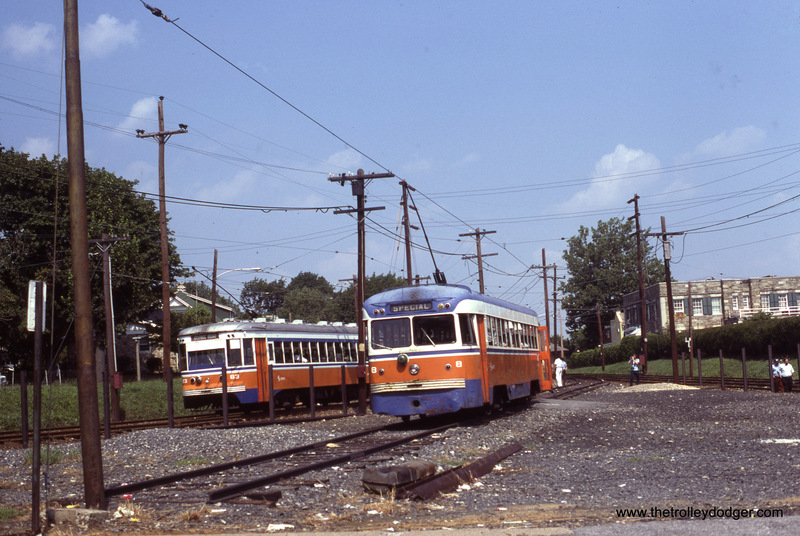 After the North Shore Line quit in 1963, the two articulated Electroliners (see one in our lead picture) were bought by the Philadelphia Suburban Transportation Company, better known as the Red Arrow Lines. 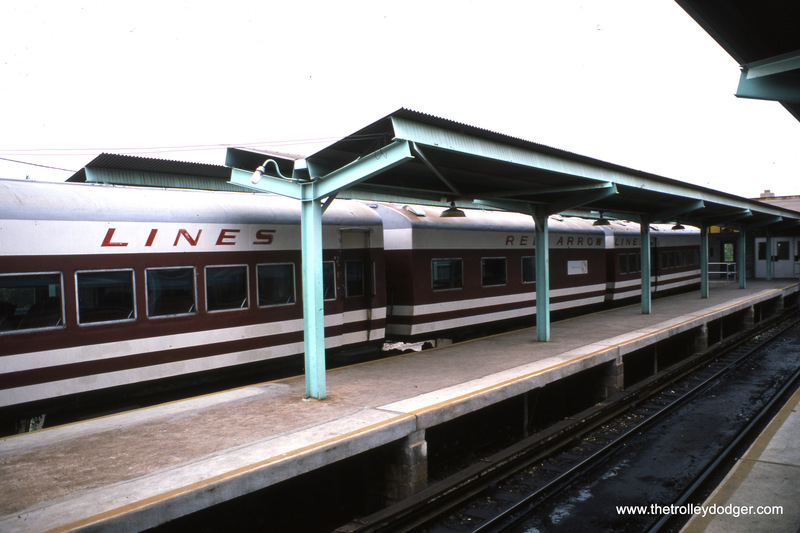 Rechristened Liberty Liners, they continued in service from 1964 until about 1976. 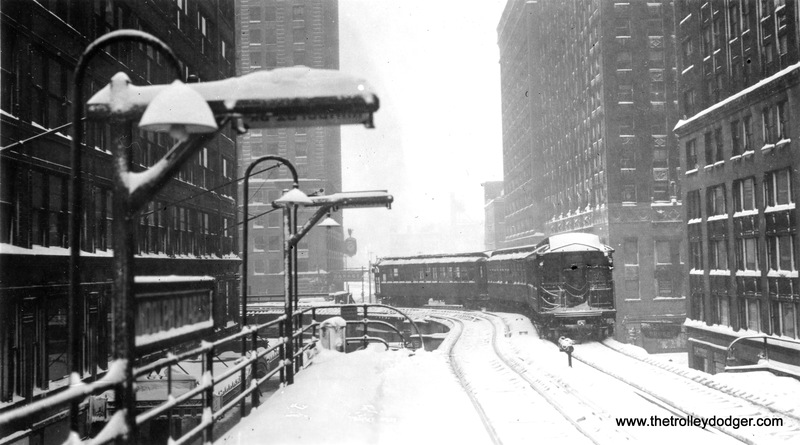 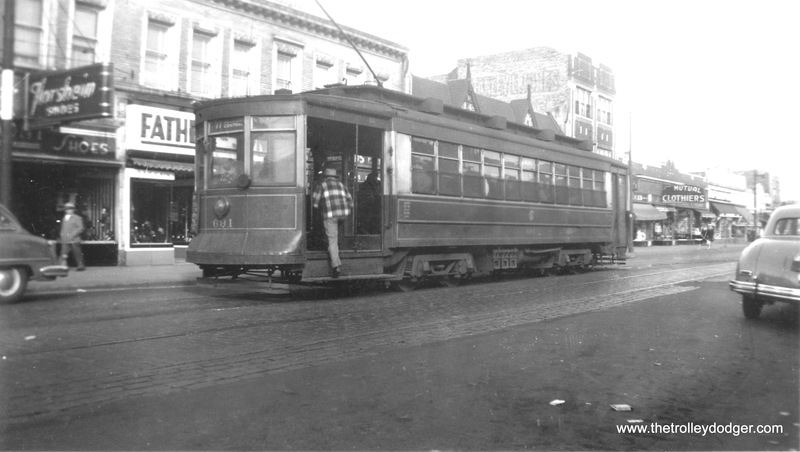 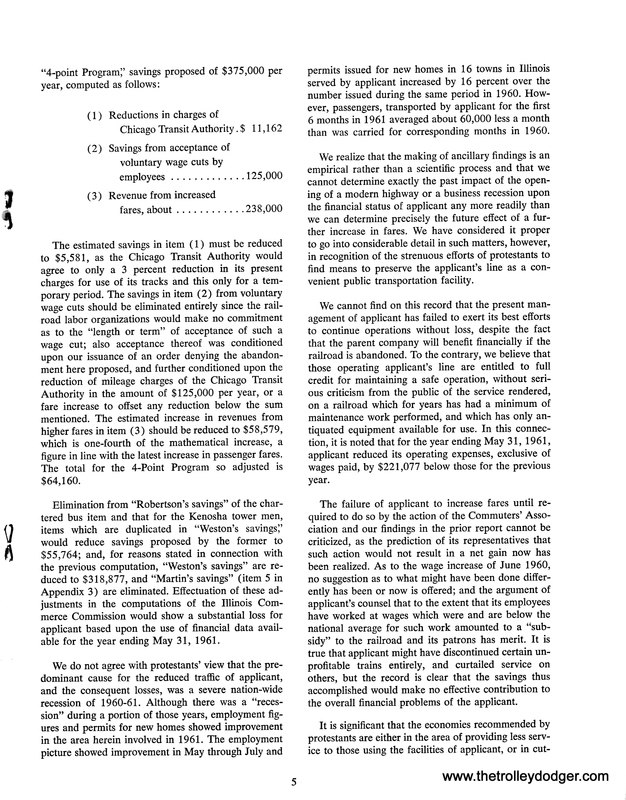 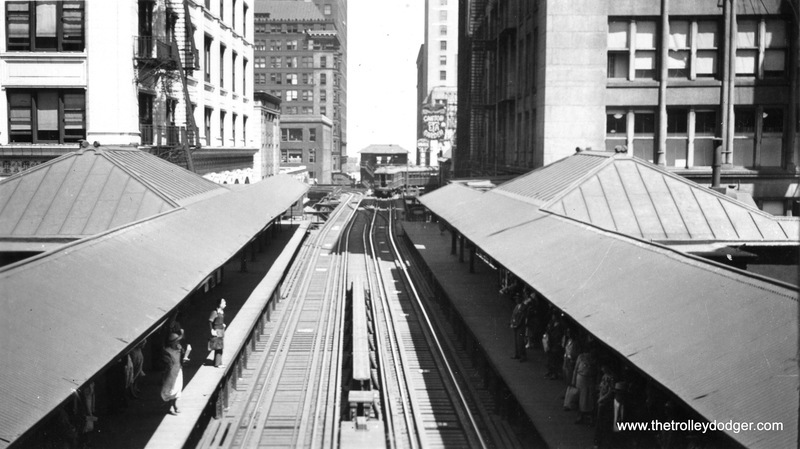 Dr. Thomas Conway, Jr., who helped modernize the Chicago, Aurora & Elgin interurban in the 1920s, did the same with the Philadelphia & Western, which later became part of Red Arrow. 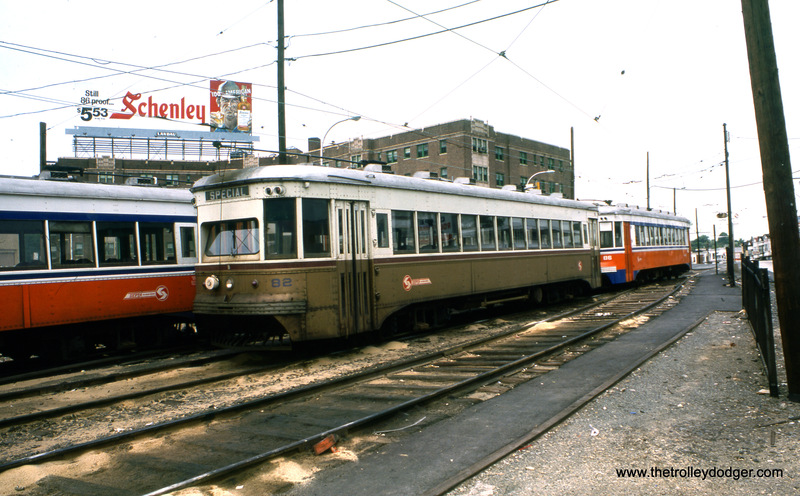 In the late 1980s, Red Arrow’s successor SEPTA purchased several pairs of used Chicago Transit Authority rapid transit cars (from the 6001-6200 series) to help keep service going, as their existing equipment (Bullets and Strafford cars) was really showing its age. 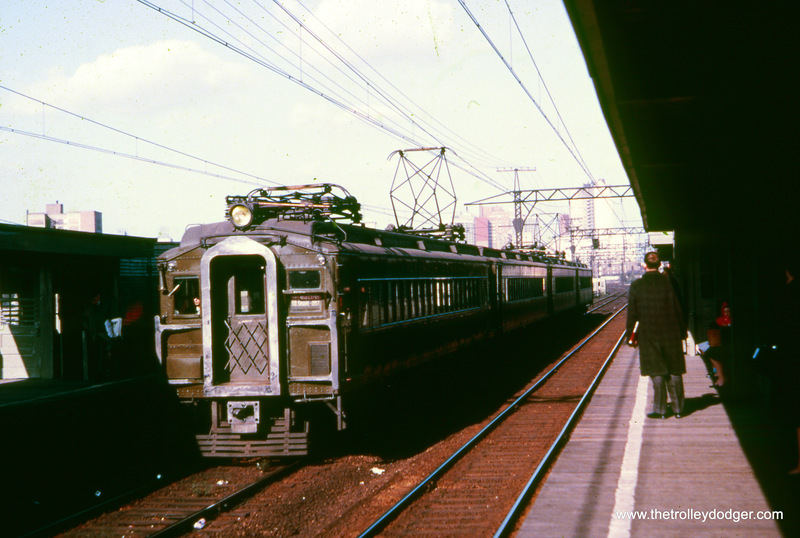 While the CA&E’s 1953 cutback in service to Forest Park helped speed its demise but a few years later, the P&W Norristown line, which survives today, has never had direct service to downtown Philly. 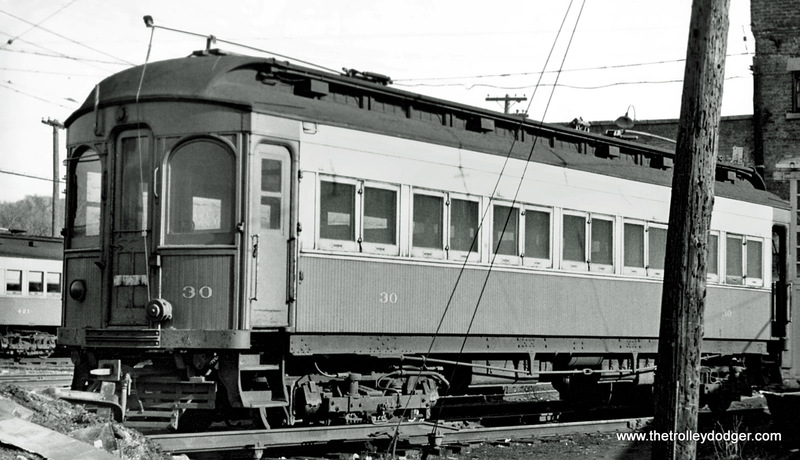 The CA&E’s 10 curved-sided cars, built in 1945, are often cited as the last “standard” interurbans built in this country. 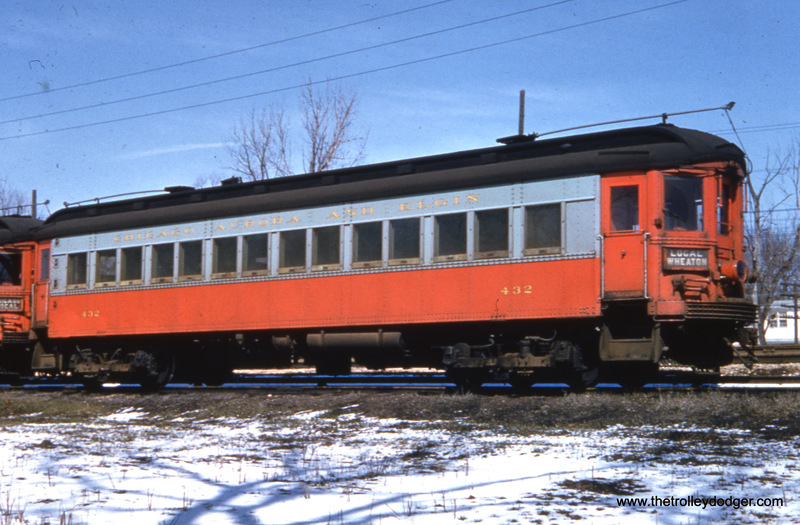 Depending on how you define the word standard, some double-ended cars built for Red Arrow by St. Louis Car Company (they also built the CA&E cars) in 1949 might take the prize instead. 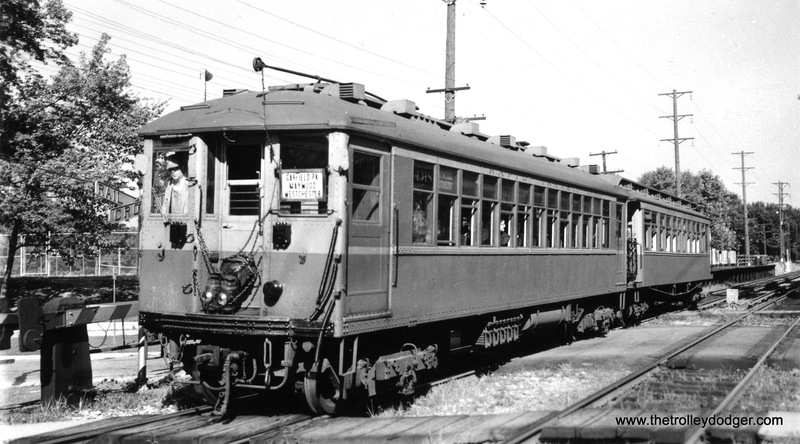 These closely resemble PCC cars but don’t qualify as “true” PCCs because they used standard trucks and motors. 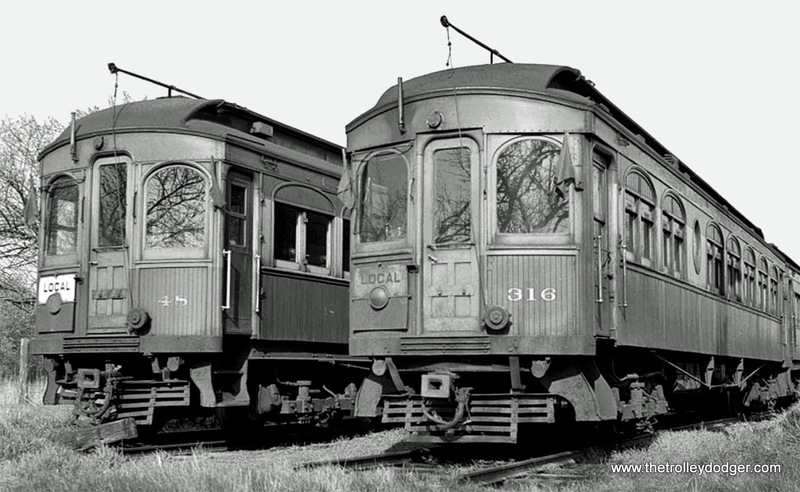 The other contenders for last standard interurban are two series built for the Illinois Terminal in the late 1940s. 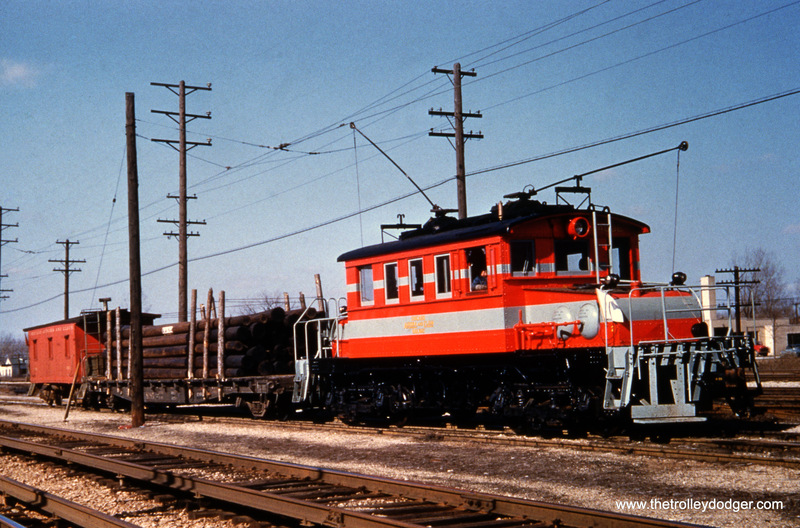 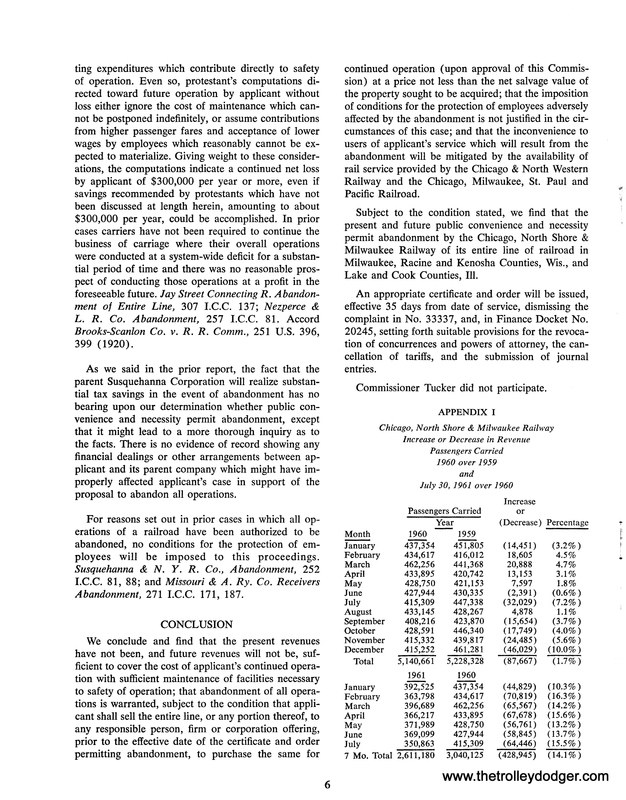 Double-end PCCs were purchased for the St. Louis to Granite City line, and streamliners for longer inter-city use. 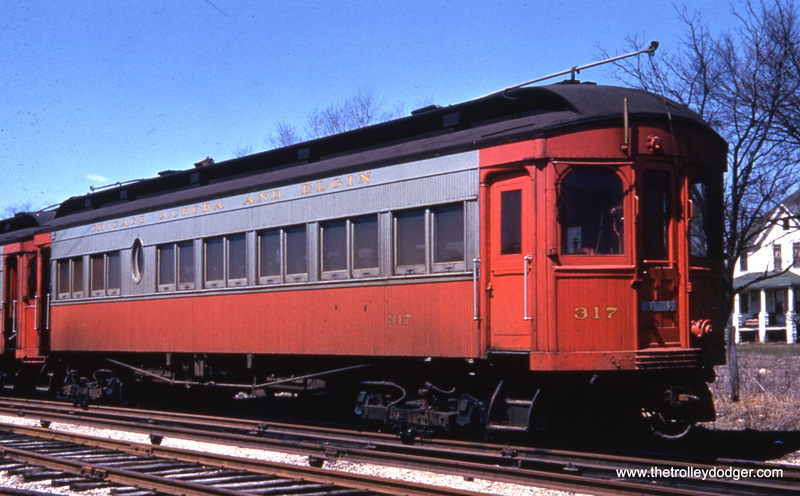 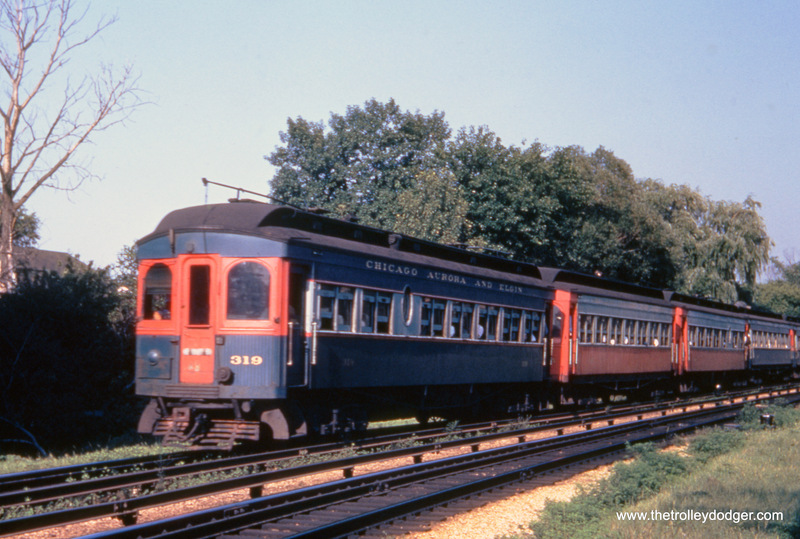 For that matter, Pittsburgh Railways used PCC cars (built in the late 1940s) on their interurban lines to Washington and Charleroi. 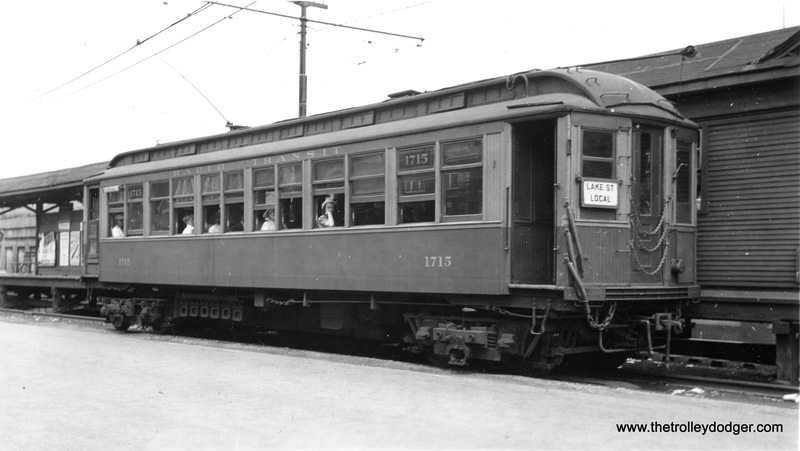 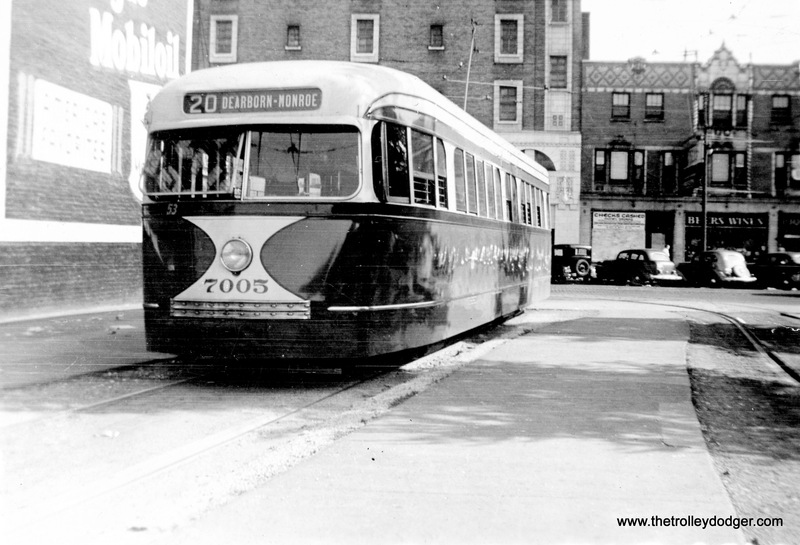 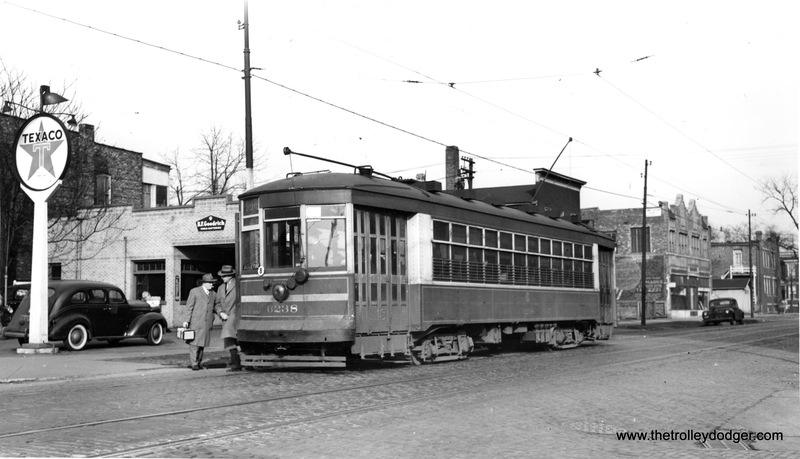 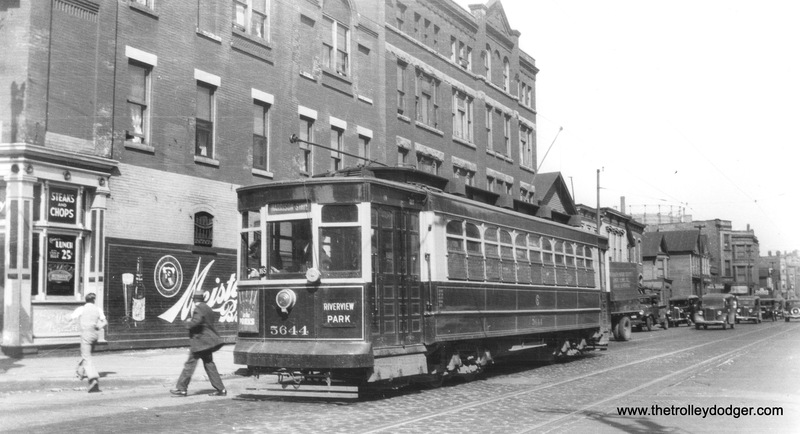 These cars continued in service in Pittsburgh for many years after the last interurban ran in 1953. 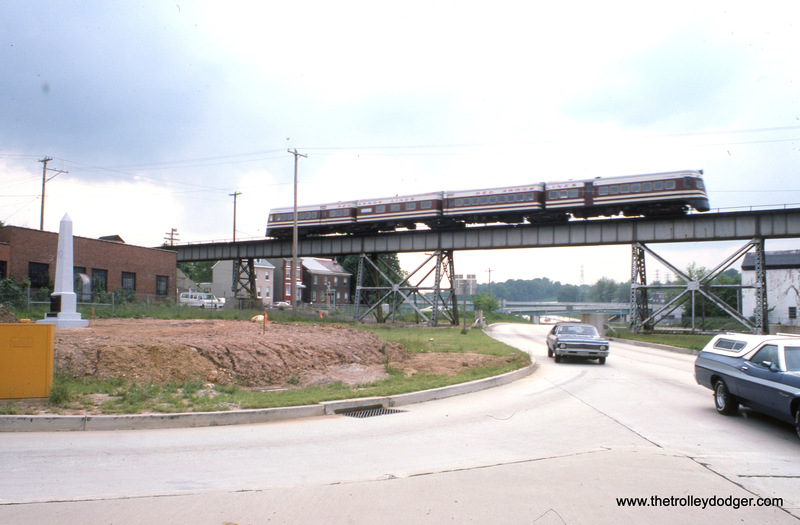 Scanning these images was just a starting point. 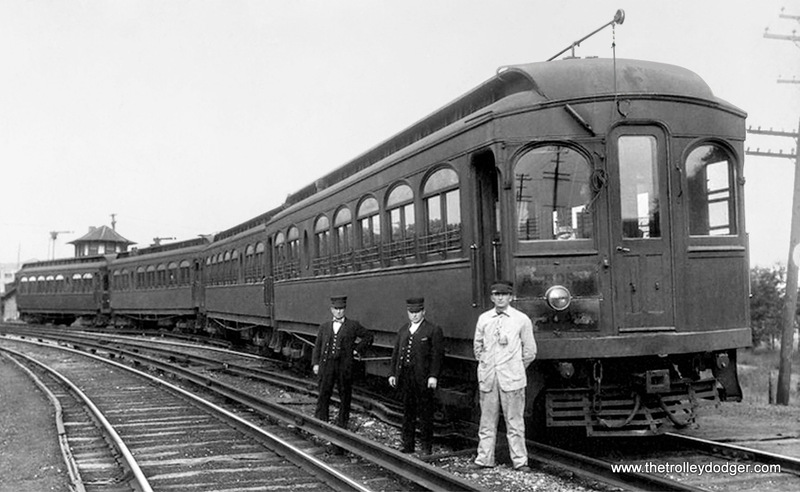 I put in many hours of work in Photoshop to remove imperfections and improve the color. 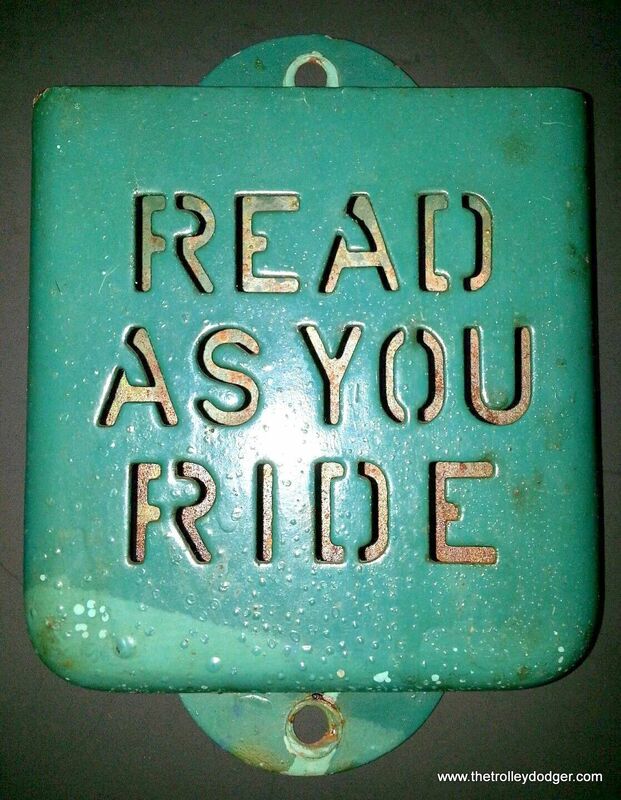 As always, if you have location information you can give us, don’t hesitate to drop us a line. 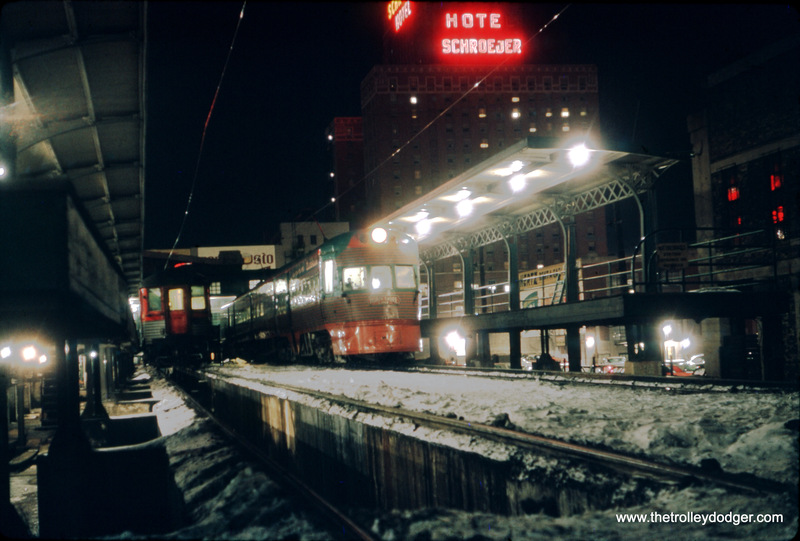 We salute the many fine photographers, whose names are unfortunately not known to us, who took these exceptional pictures. 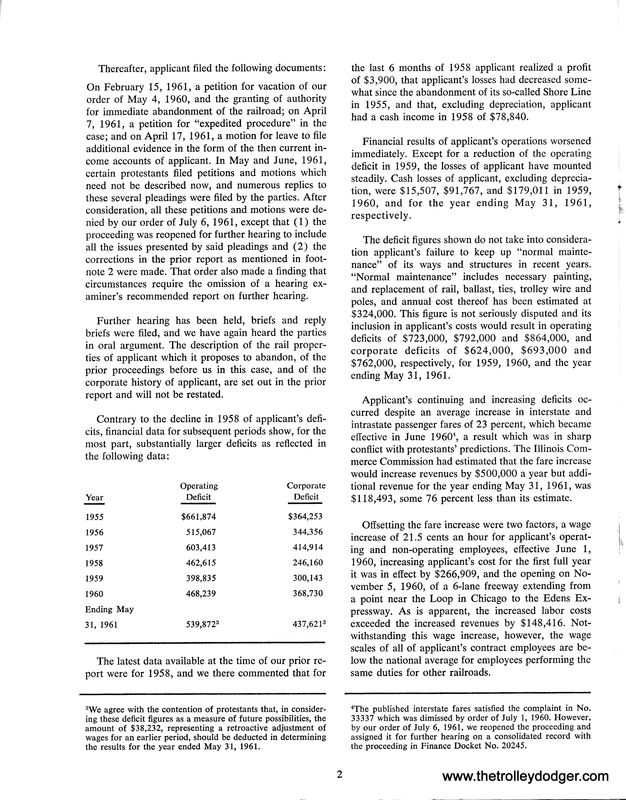 It is important to give credit where credit is due, but in too many cases, when we receive a slide, negative, or print, there isn’t a name associated with it. 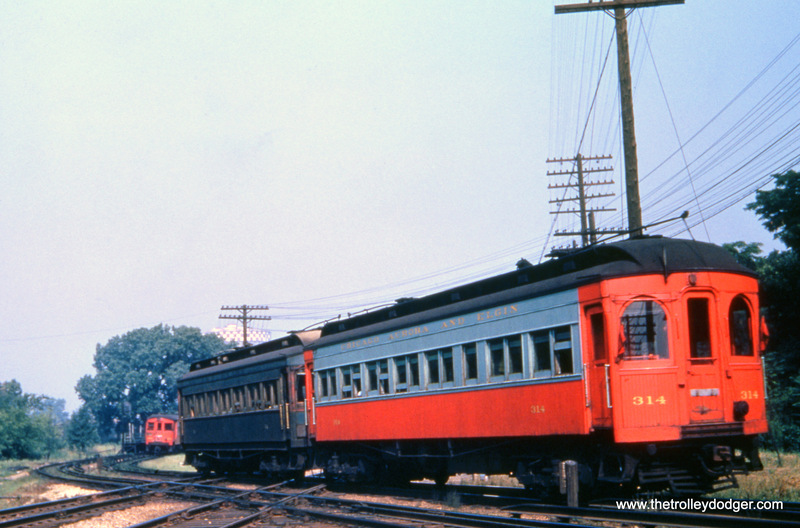 We wish it were otherwise, but we are grateful that so many fine images have survived the decades in order to be shared with you. 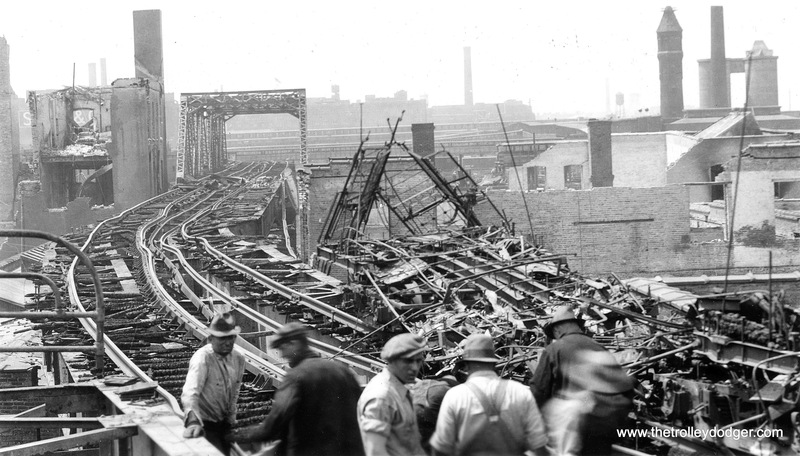 Our intentions are always to give these images, and the people who took them, the respect they deserve. 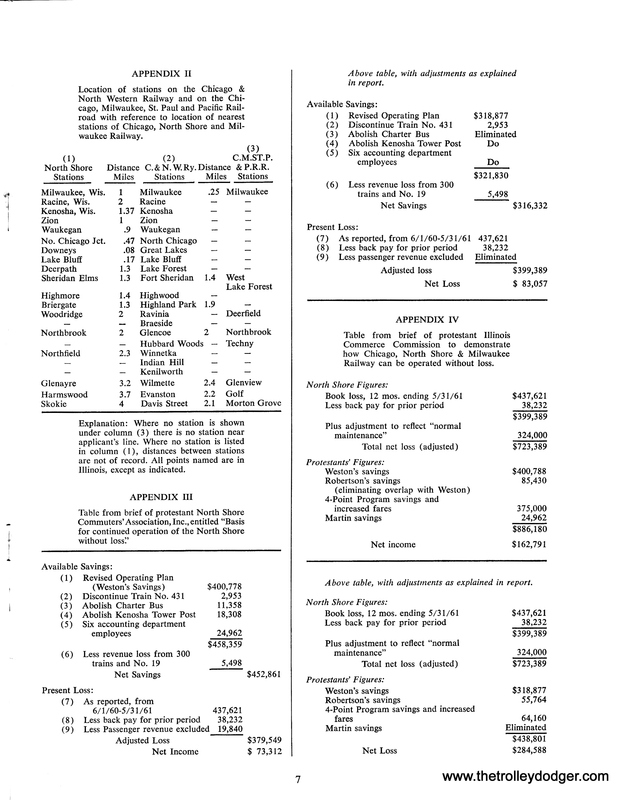 When we have such information, we always give proper credit. 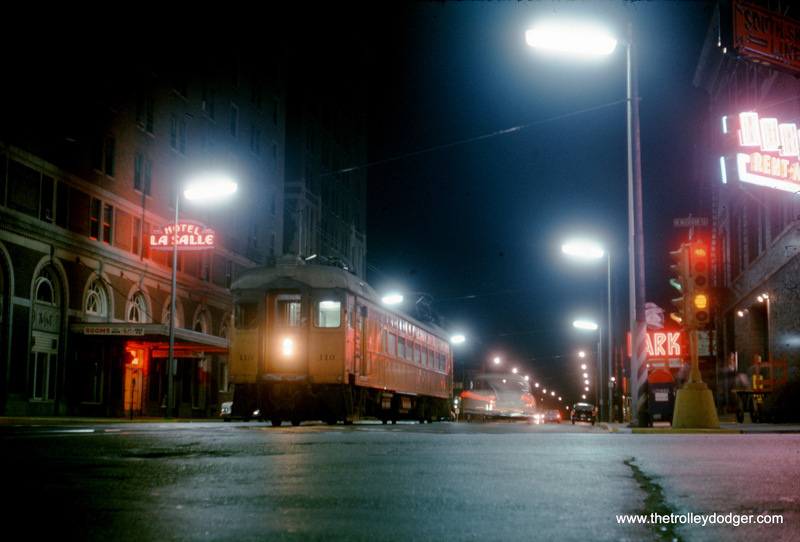 PS- You can see more great night shots in our previous post Night Beat (June 21, 2016). 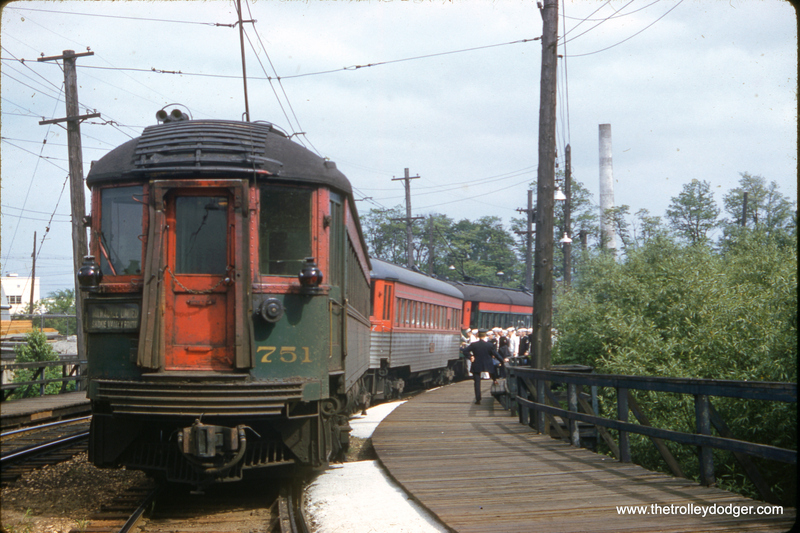 Sailors board a North Shore Line train at Great Lakes on June 1, 1962. 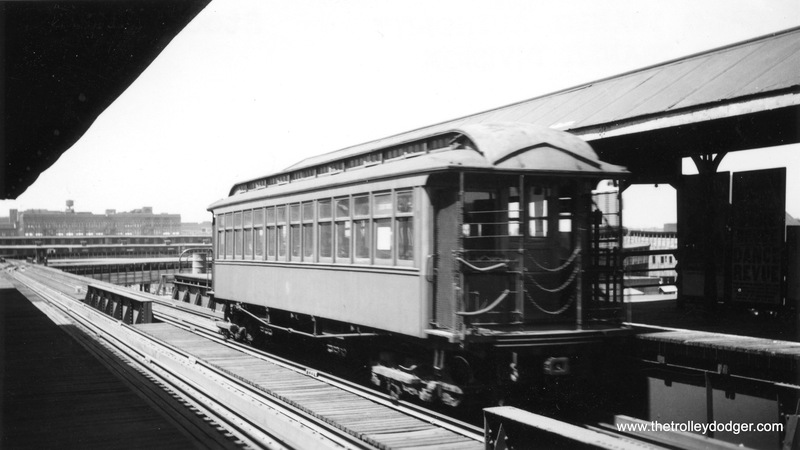 Car 751 is at rear. 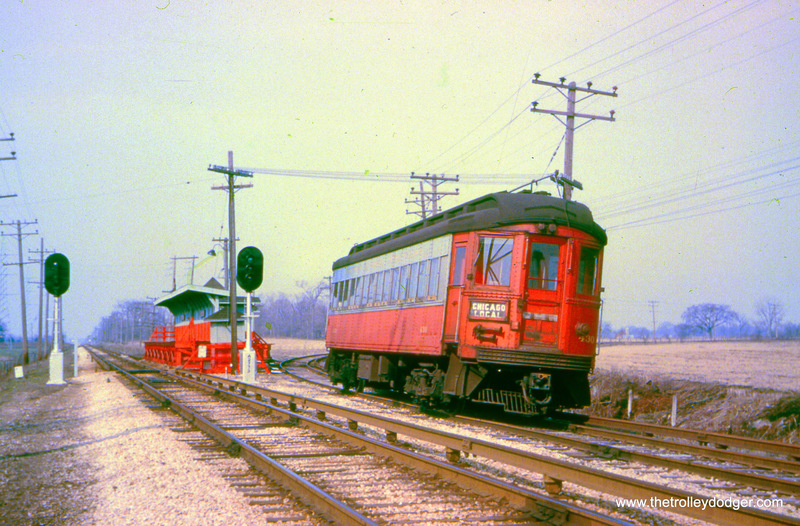 North Shore Line 731 is at Libertyville on the Mundelein branch. 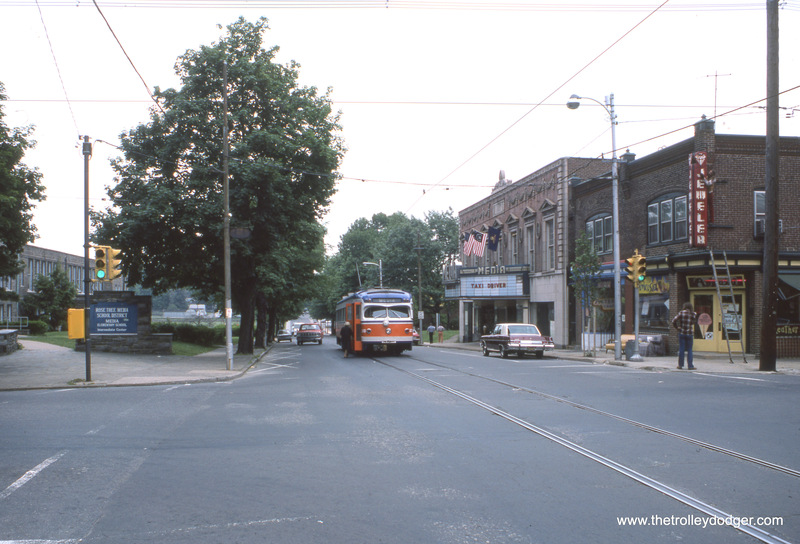 We featured another picture at this location, taken in warmer weather, in Our 150th Post (August 6, 2016). 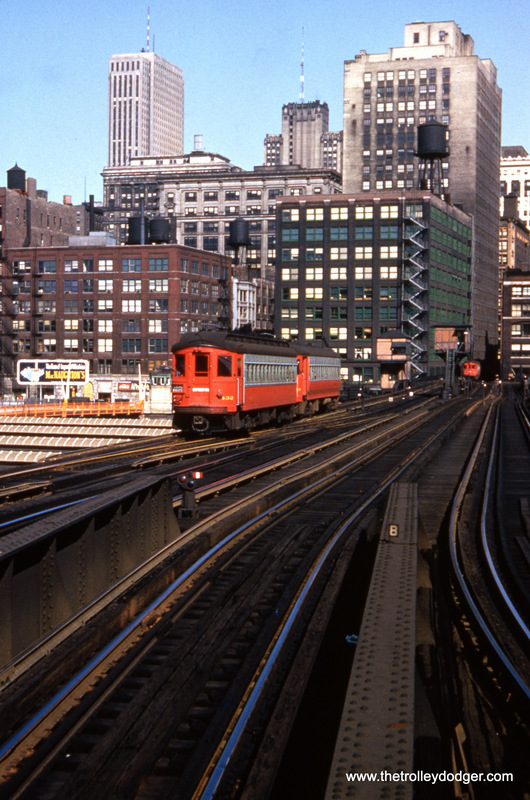 North Shore Line car 773 and train on the Loop “L”. 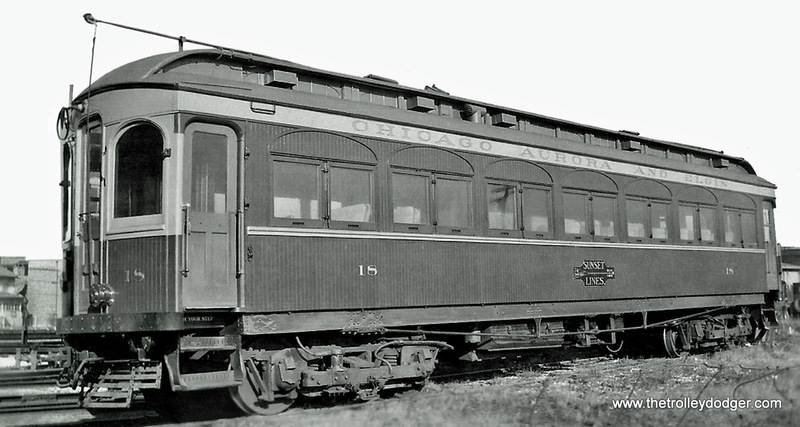 The car is signed as a Chicago Express on the Shore Line Route, which was abandoned in July 1955. 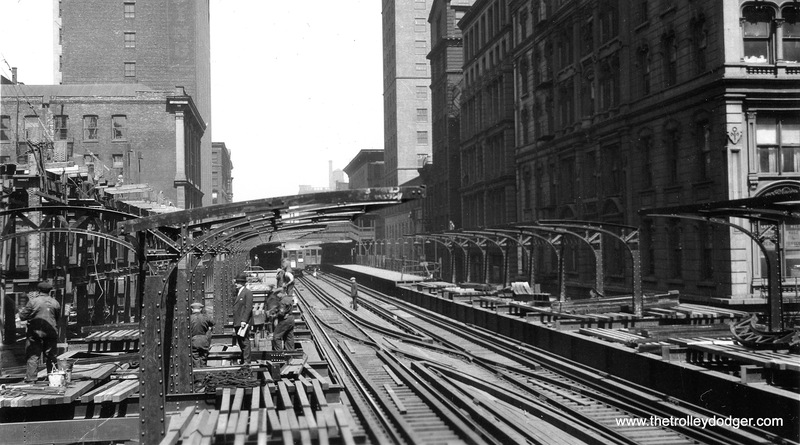 We ran another version of this image in a previous post, but this one is better because there is less cropping. 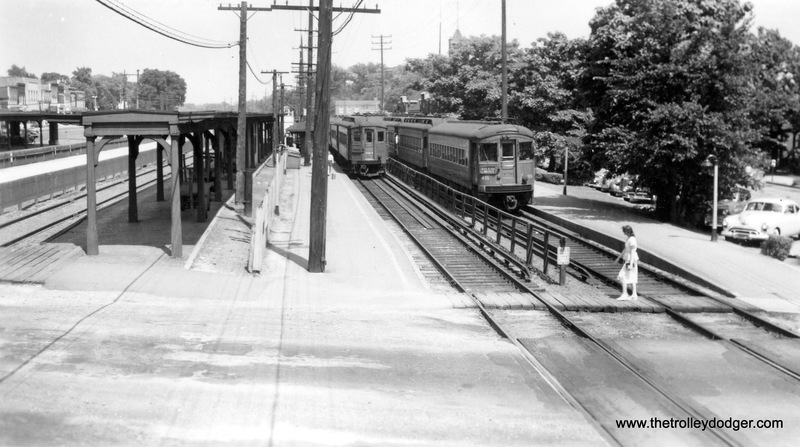 A northbound CNS&M Shore Line Route train, headed up by 413, at the downtown Wilmette station in June 1954. 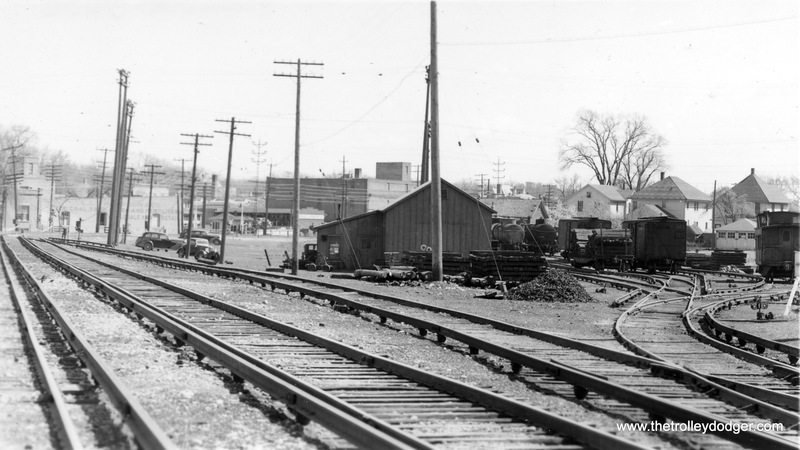 The Shore Line was abandoned not much more than one year later. 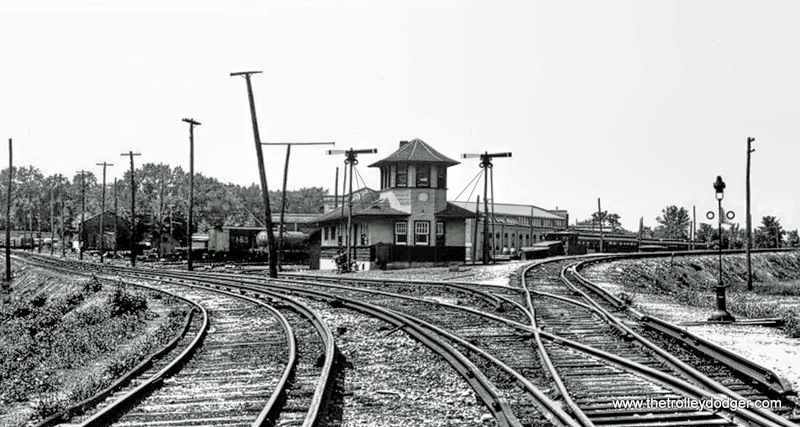 We are looking to the southeast. 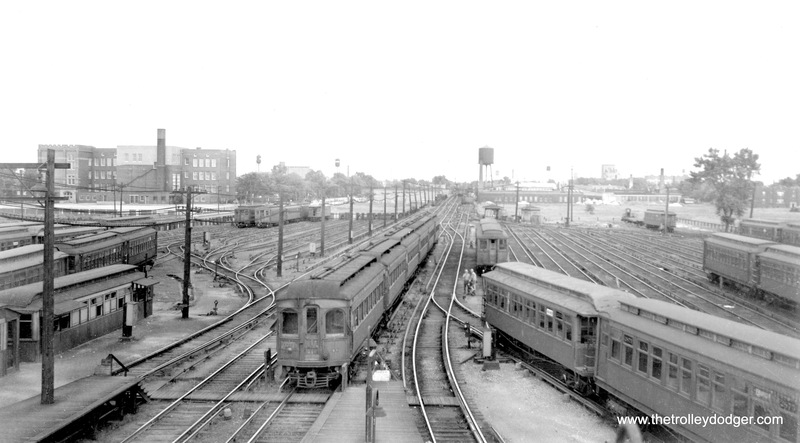 This picture, taken in September 1958, appears to show the back end of a CTA Congress branch train heading east over temporary trackage just east of DesPlaines Avenue, where there was a crossing at grade. 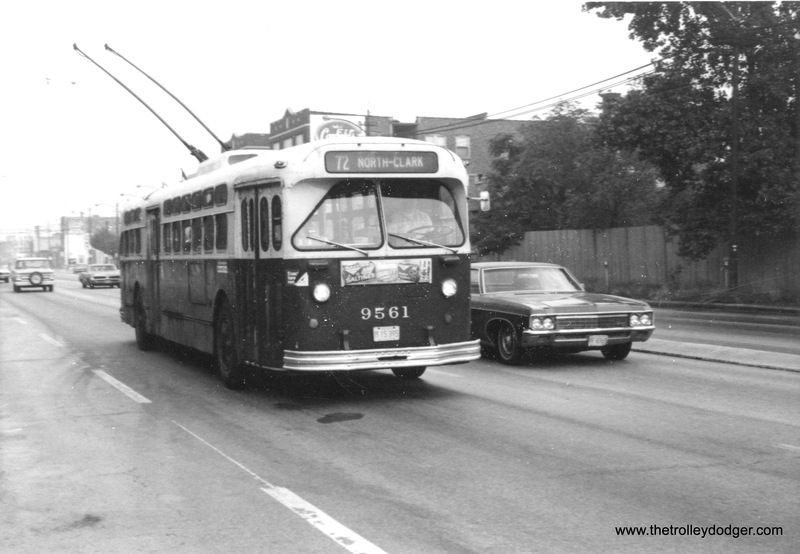 Construction work was underway for I290, and the previous June, the new rapid transit line in the Congress expressway median had opened as far west as Cicero Avenue. 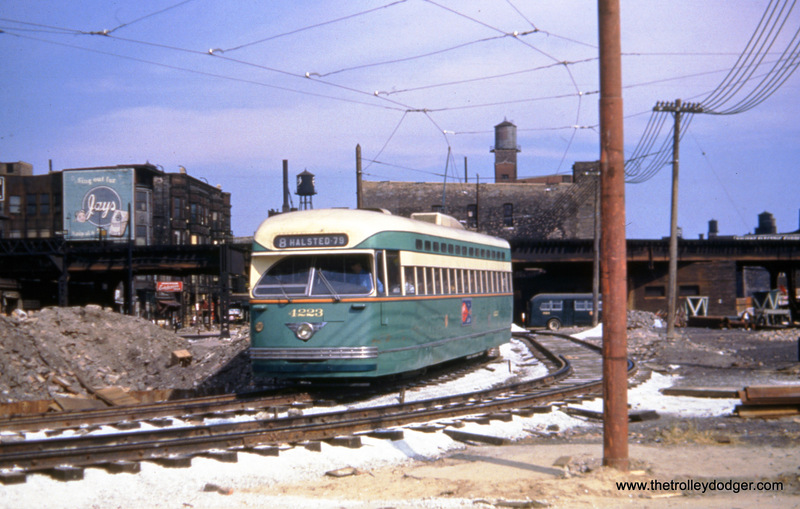 CTA Pullman-built PCC 4223 on a shoo-fly at Halsted and Congress circa 1952. 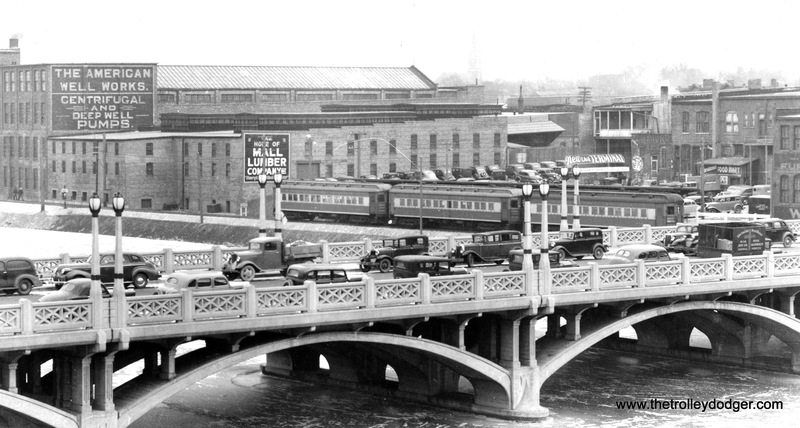 The Congress expressway was under construction, and the first thing built were the bridges. 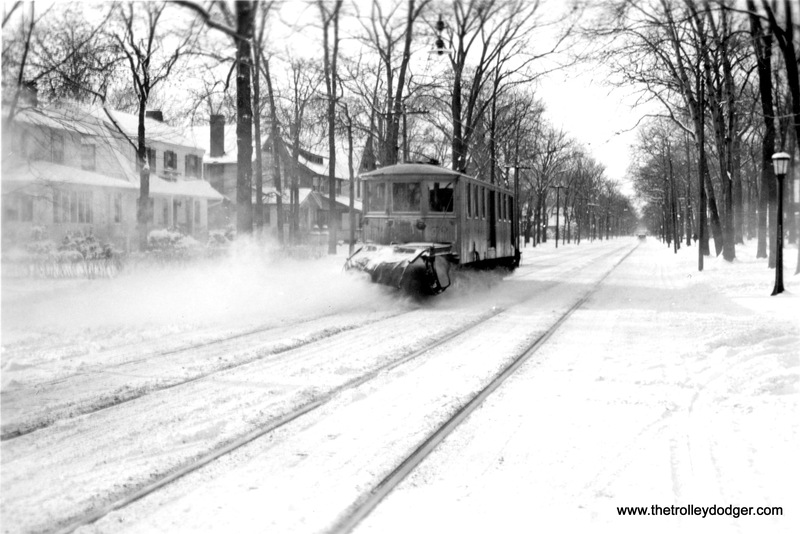 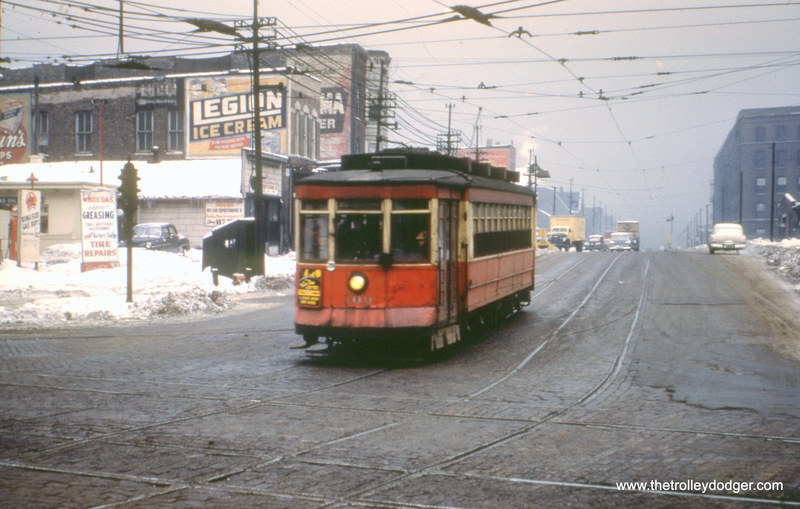 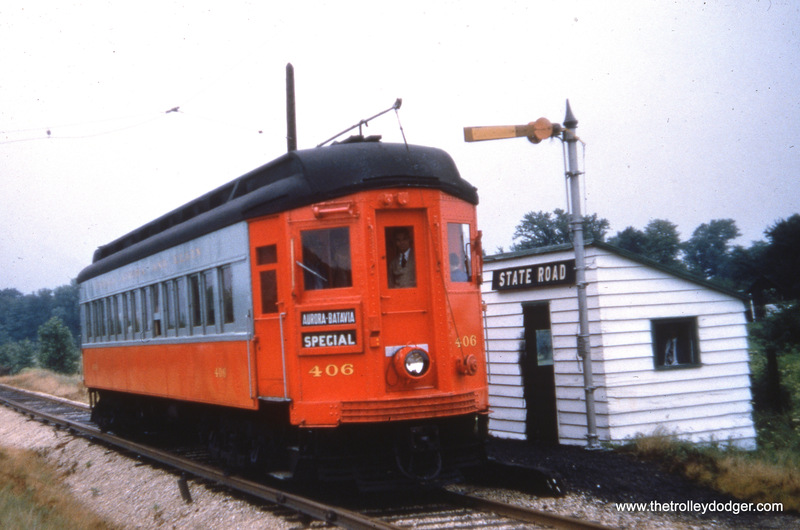 That is the Garfield Park “L” in the background, which continued to operate until June 1958. 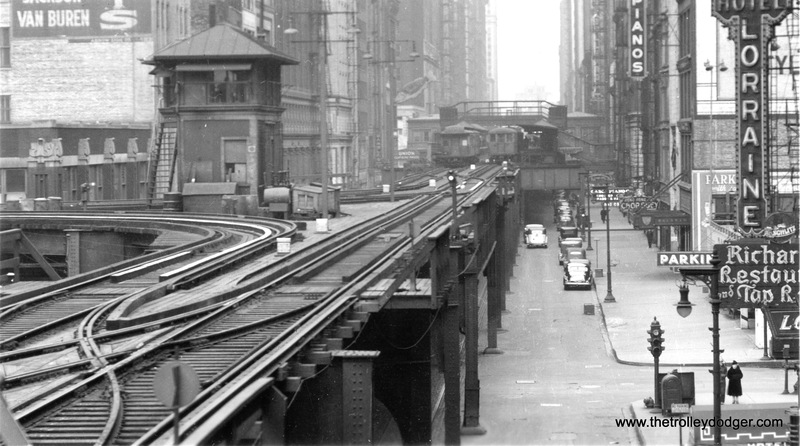 The temporary trackage in Van Buren Street was a short distance west of here. 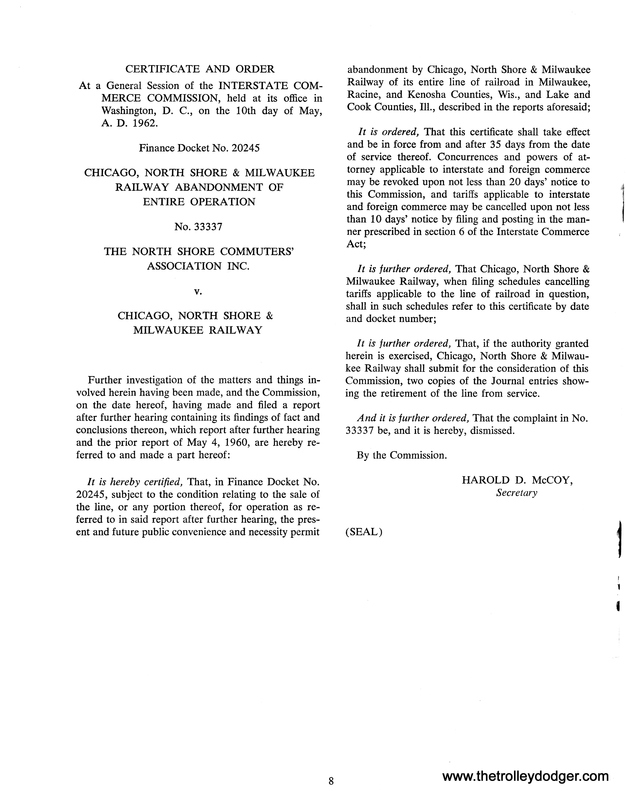 We are facing north. 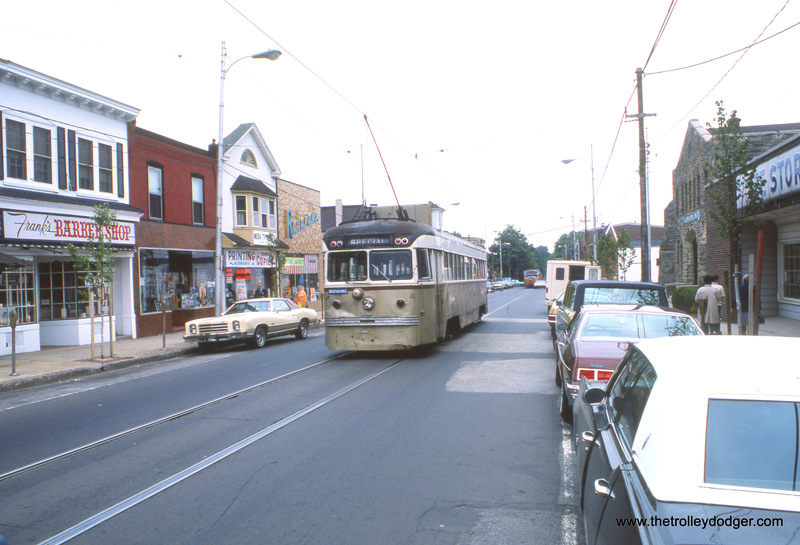 Those lines on the car are shadows from nearby telephone wires. 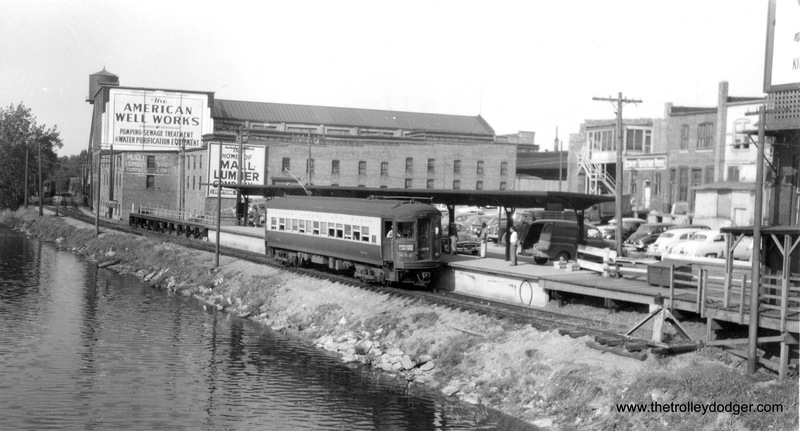 A two-car train of CTA 4000s goes up the ramp toward the Laramie station on the Lake Street “L” on July 5, 1960. 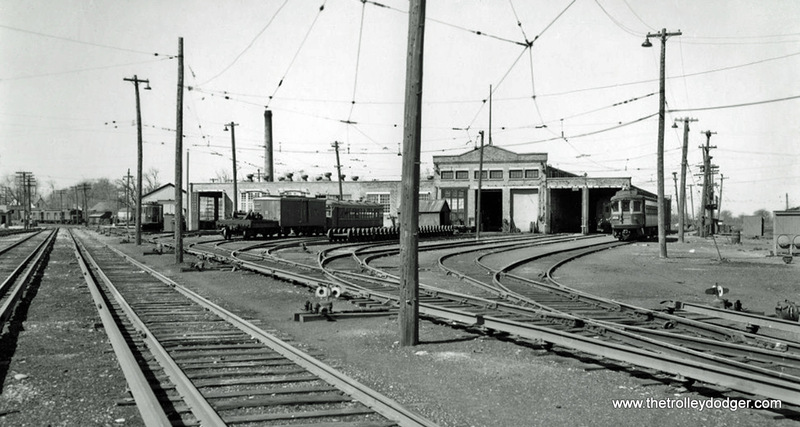 The portion of the line west of here was relocated onto the nearby Chicao & North Western embankment on October 28, 1962. 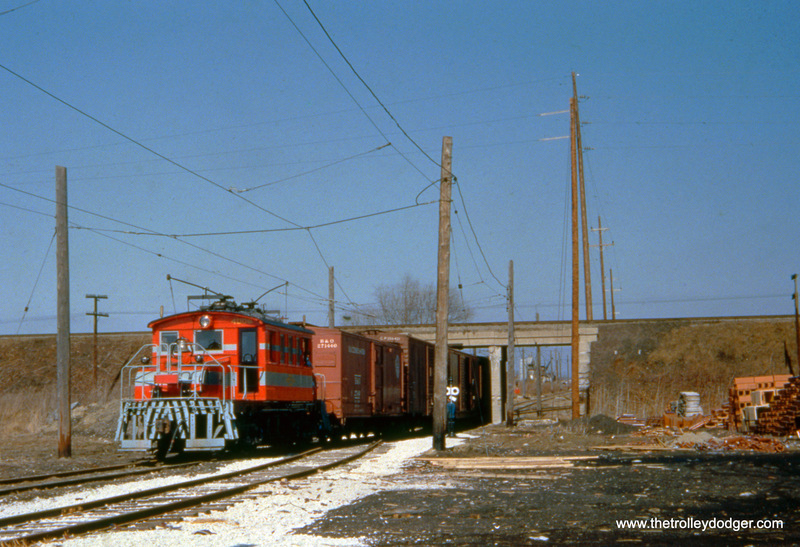 Earlier that year, power on the ramp was changed from overhead wire to third rail, to facilitate the transition. 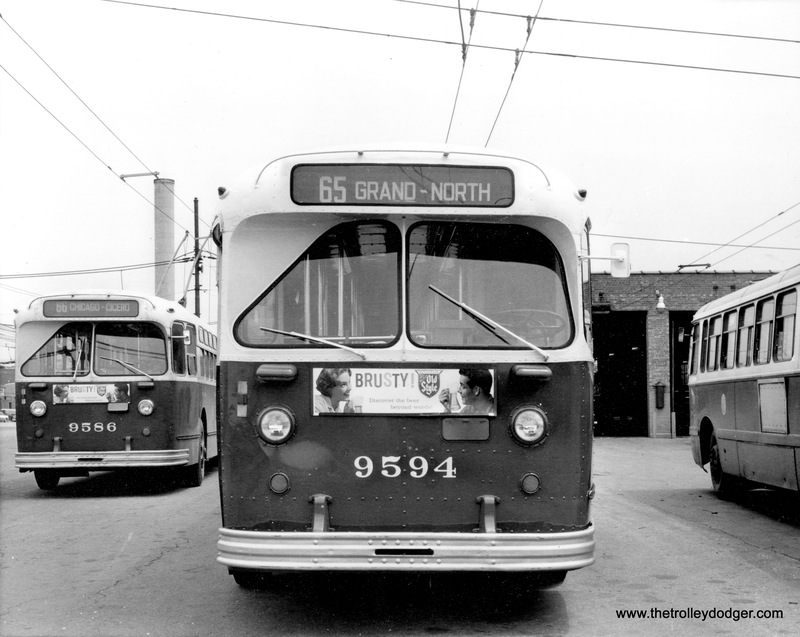 CTA Red Pullmans 532 and 153 pass each other on Route 8 – Halsted at Chicago. 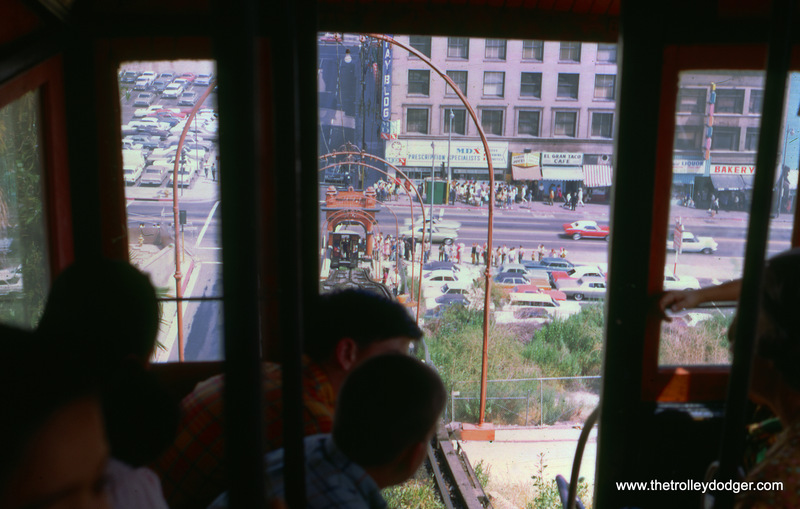 We are looking north. 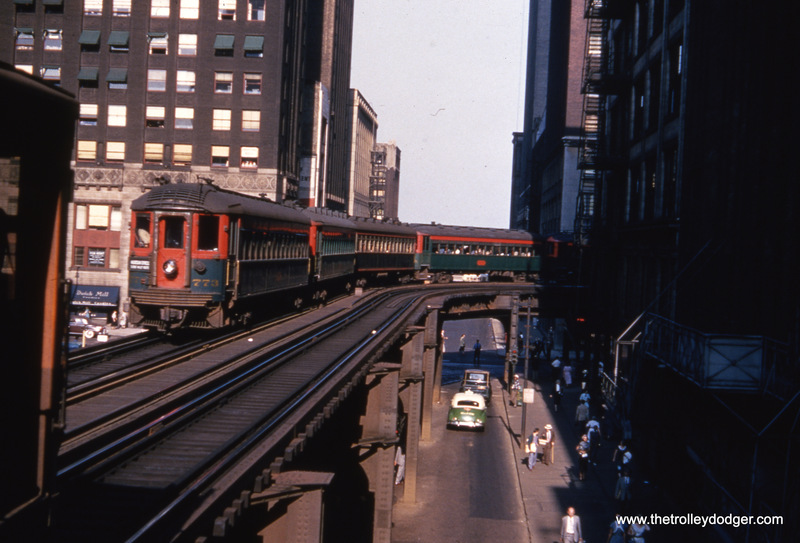 CTA Red Pullman 109 is heading westbound on Blue Island at Western. 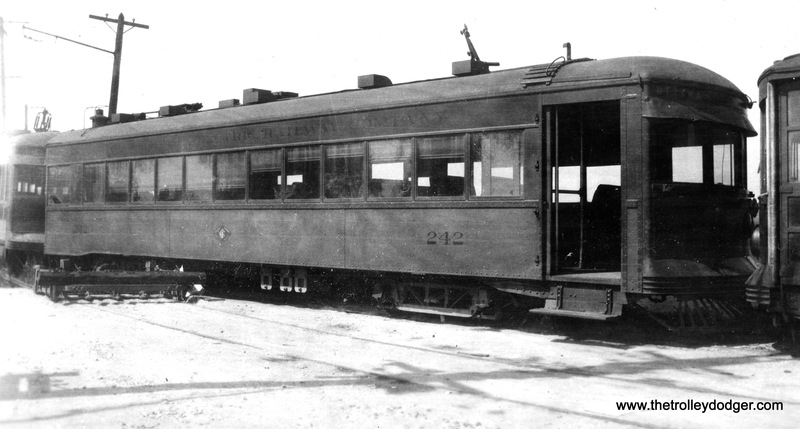 CA&E 422 at the head of a four-car train. 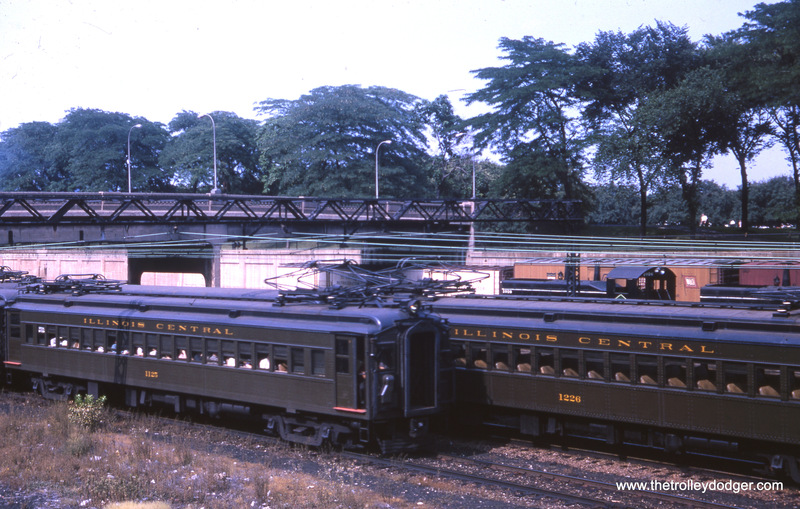 CA&E 317 and 316 on an Illini Railroad Club fantrip in the 1950s. 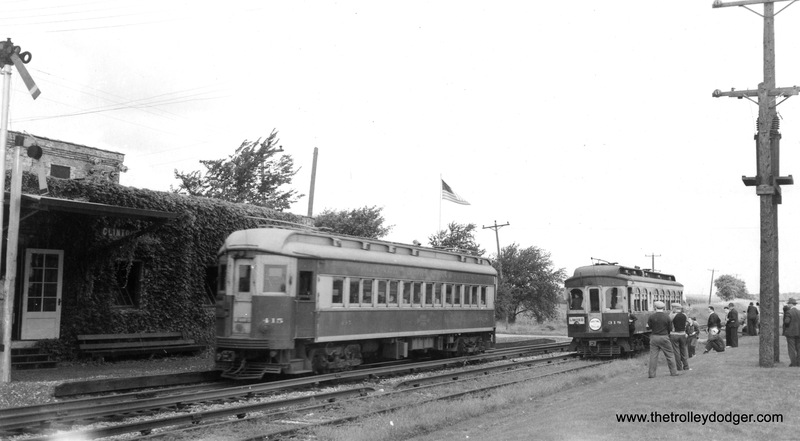 CA&E 406 at State Road on the Batavia branch. 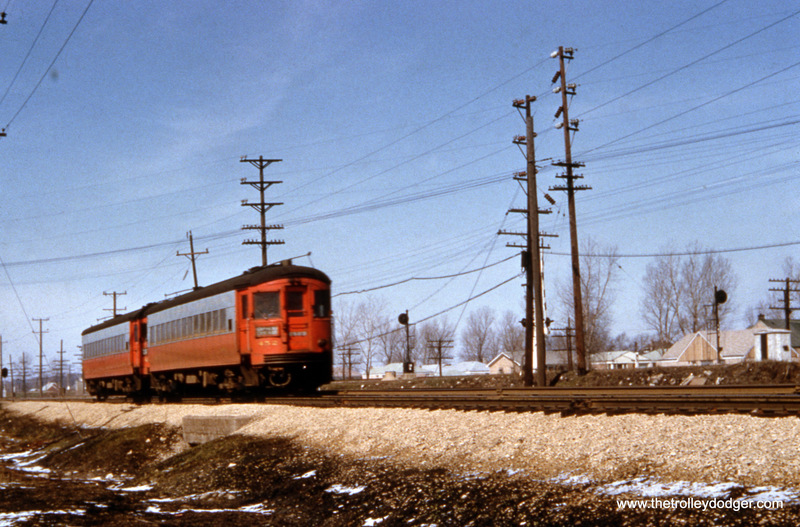 To me, this looks like CA&E 419 is approaching the Forest Park terminal at DesPlaines Avenue. 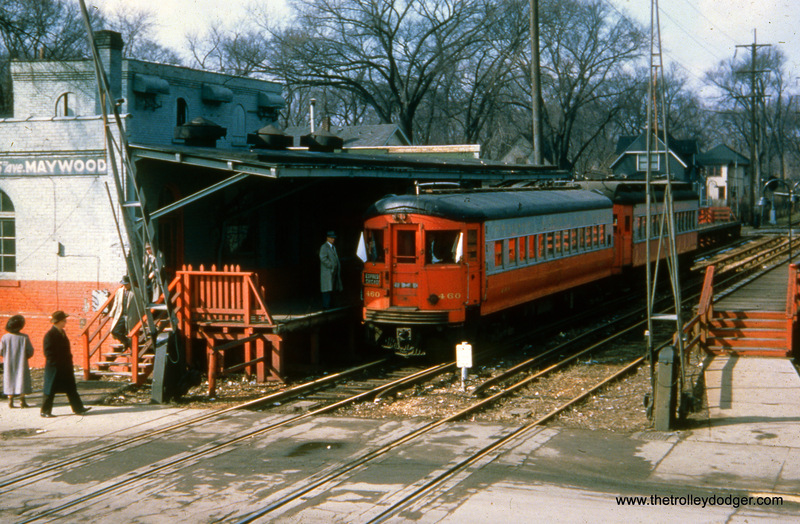 CTA Garfield Park “L” trains would loop via the wooden flyover at rear. 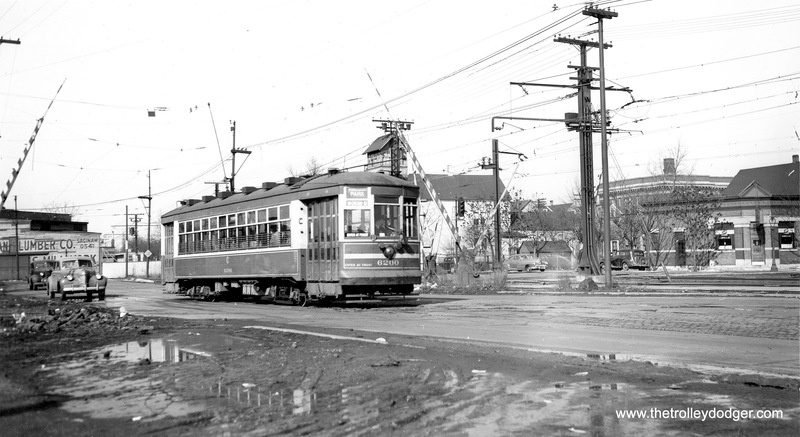 Construction is underway at the station, which make me wonder if this picture was taken around the time of the September 1953 cutback. 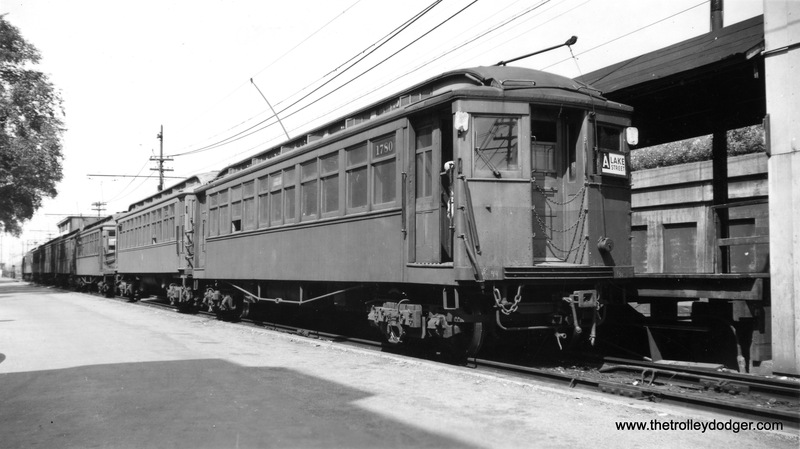 CA&E 454. 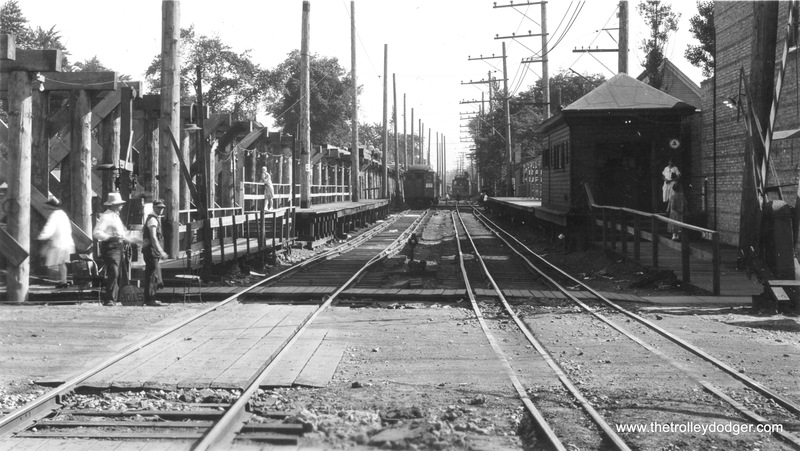 Methinks this is Bellwood, near 25th Avenue, where the nearby Chicago Great Western had a freight yard. 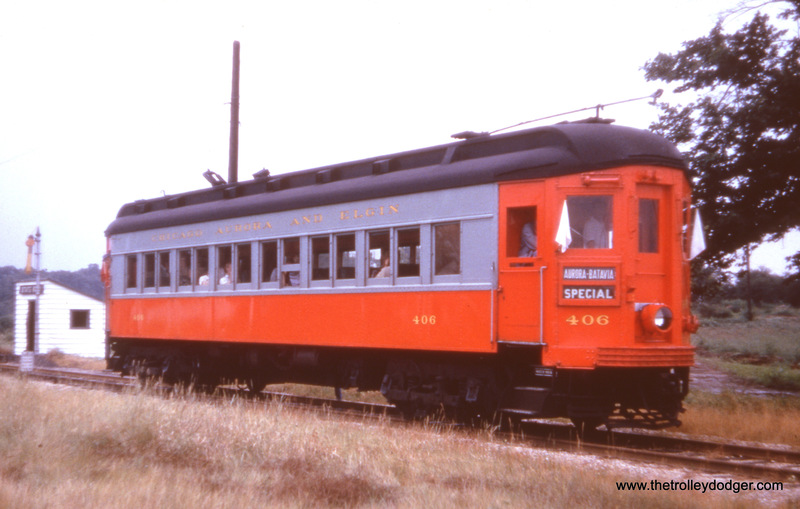 CA&E 319 heads up a train of woods. 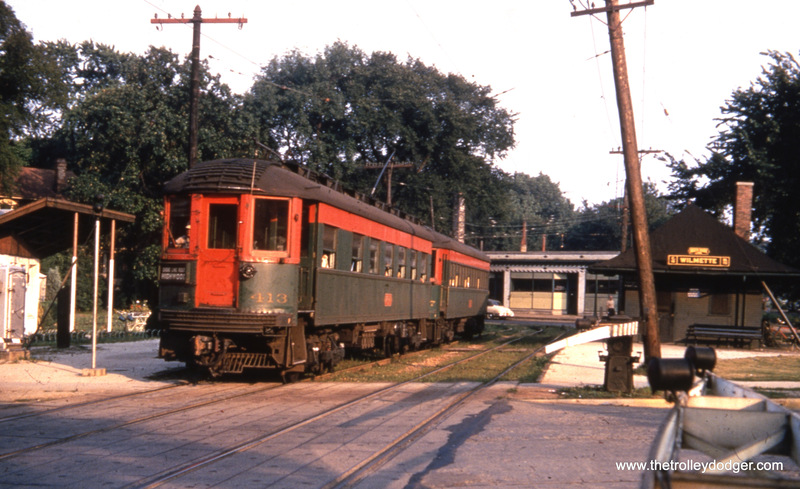 CA&E 316 and 317 have just departed Forest Park and are heading west in the 1950s. 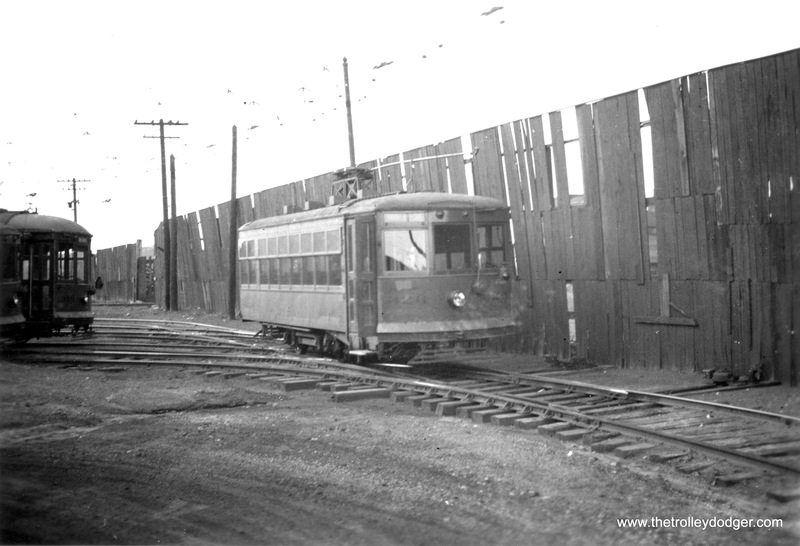 CTA Garfield Park “L” cars would loop using the wooden trestle at rear. 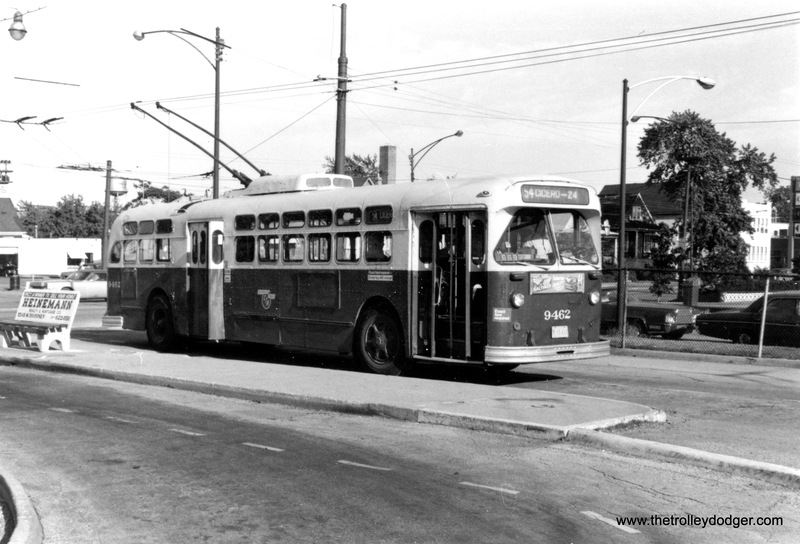 This is the approximate location of I290 today. 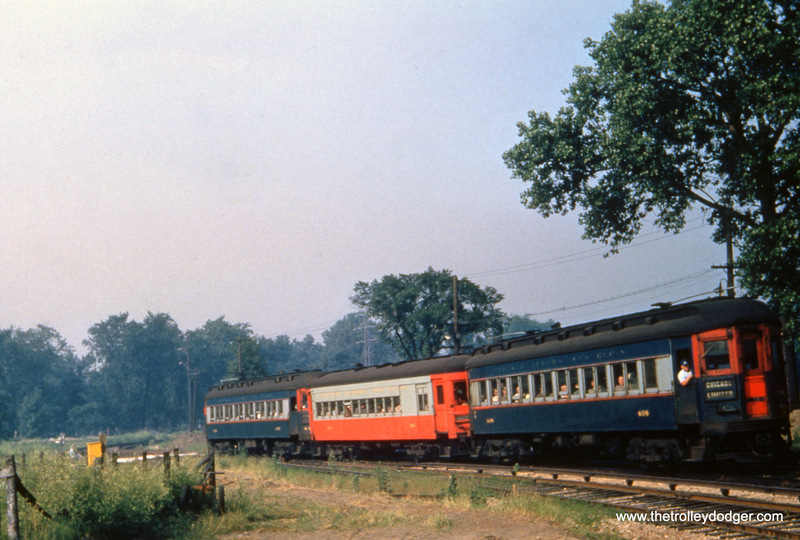 CA&E 406 on a 1950s fantrip, most likely on the Batavia branch. 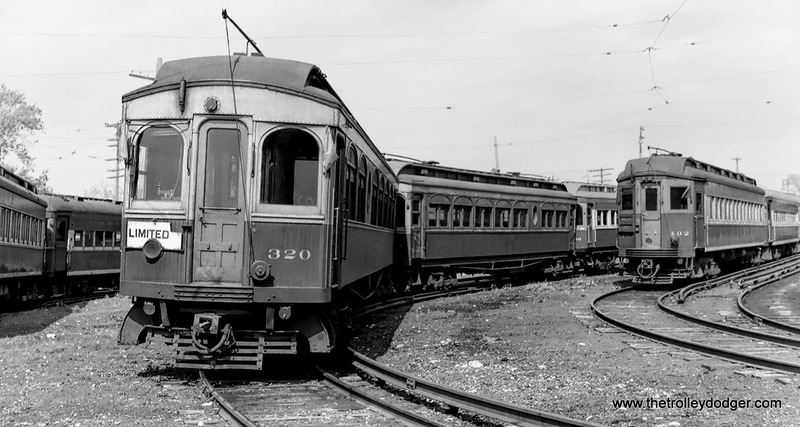 CA&E 314 is at the rear of a two-car train that has just crossed the B&OCT tracks just east of DesPlaines Avenue. 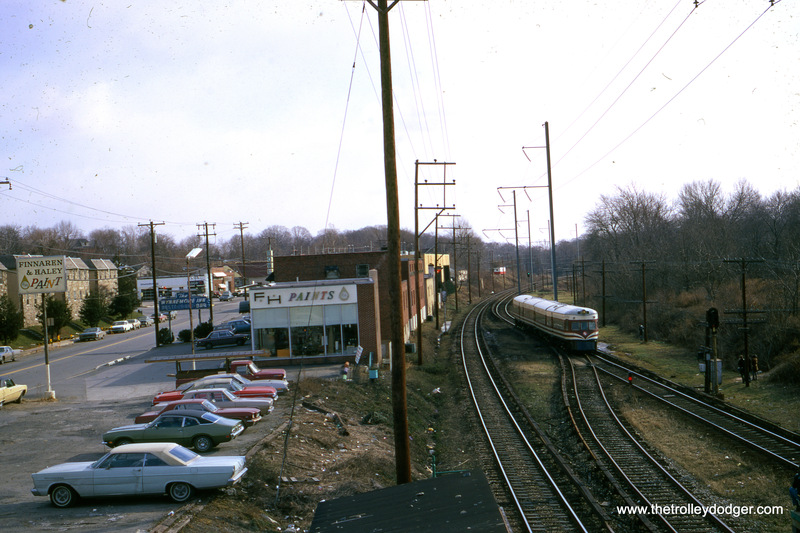 The station at left would be DesPlaines Avenue, so we are looking to the west. 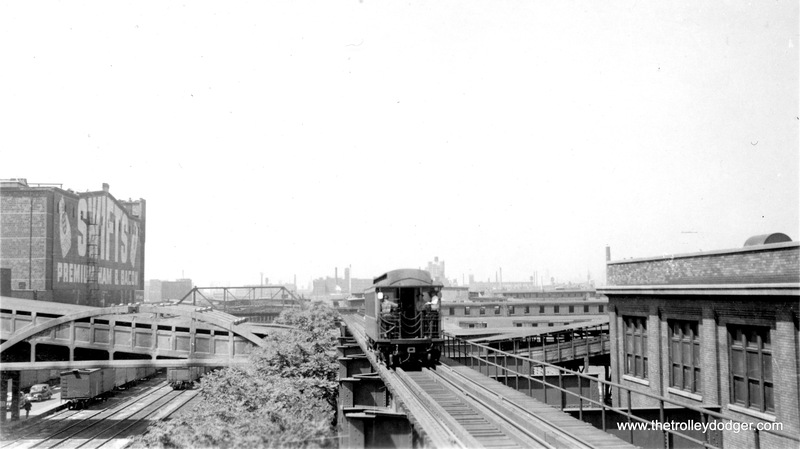 Note the large gas holder that was a local landmark for years. 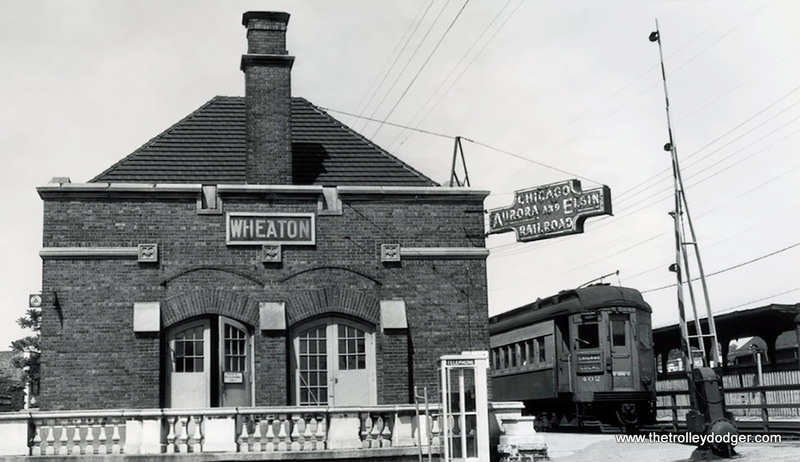 CA&E 307 at the Wheaton Shops. 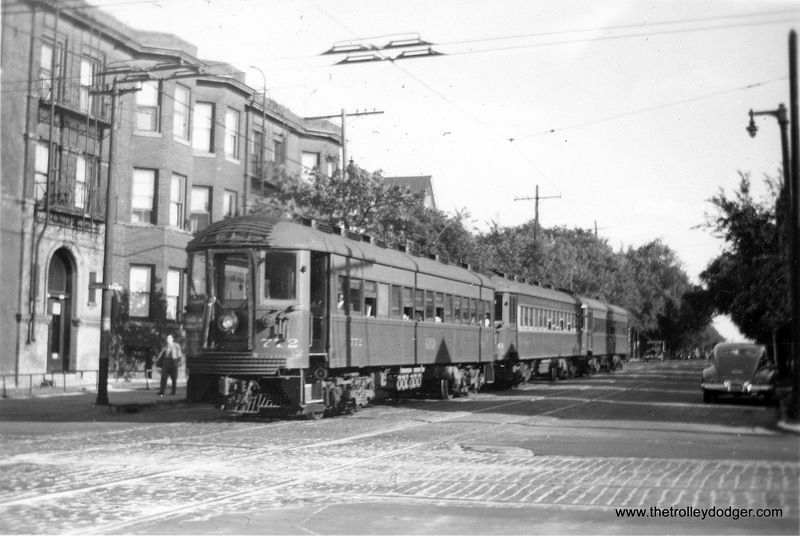 If I had to guess, I would say this picture of a CTA wooden “L” car and CA&E 422 was taken at DesPlaines Avenue, shortly before the September 1953 cutback in service. 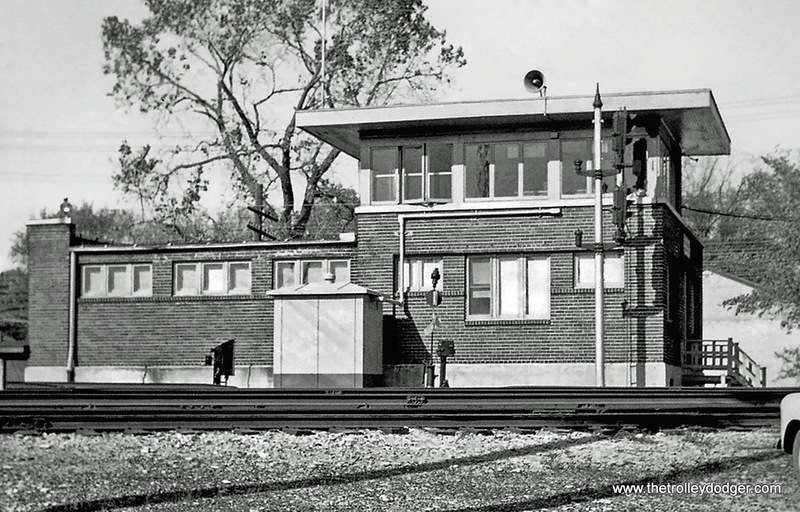 The old station was on the east side of DesPlaines Avenue. 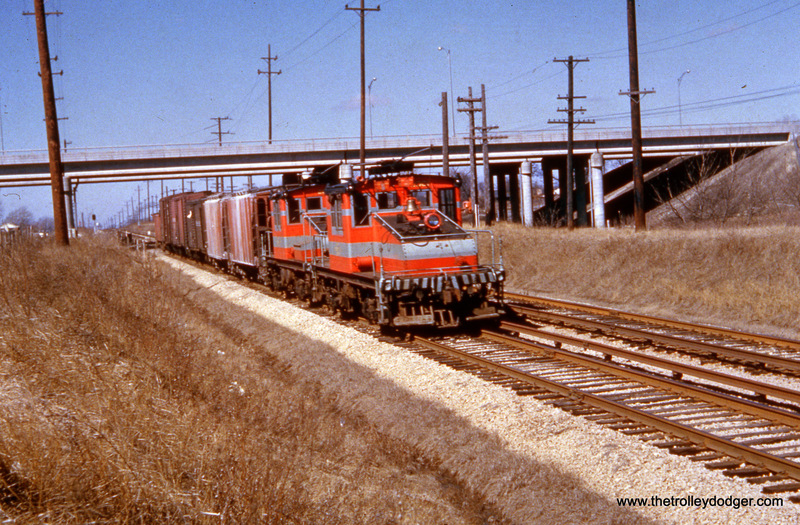 A short CA&E freight train, complete with caboose. 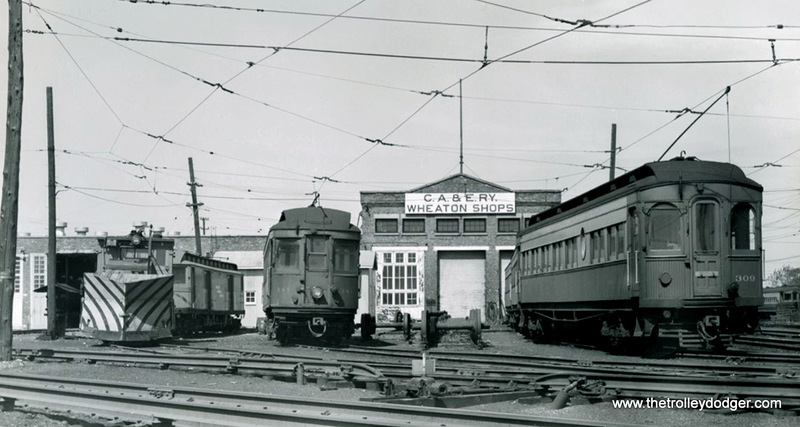 Some other interurbans did not use cabooses. 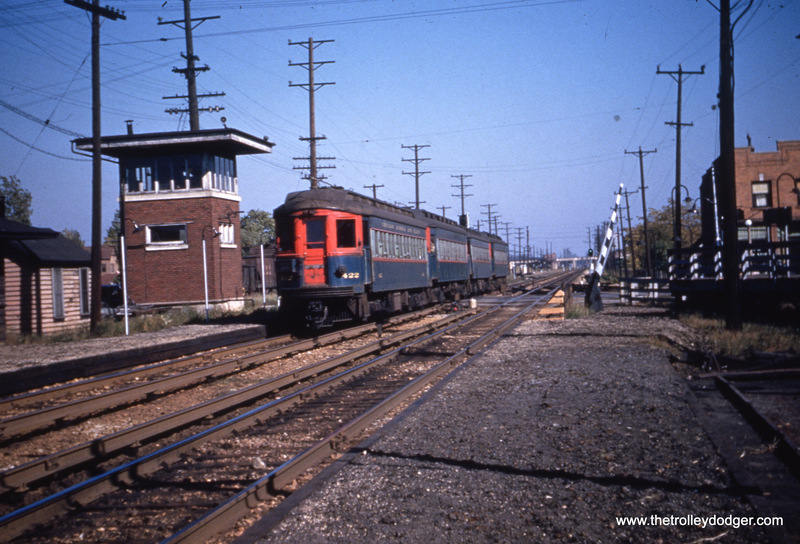 CA&E 408 heads up a train that appears to be heading eastbound, possibly just west of DesPlaines Avenue. 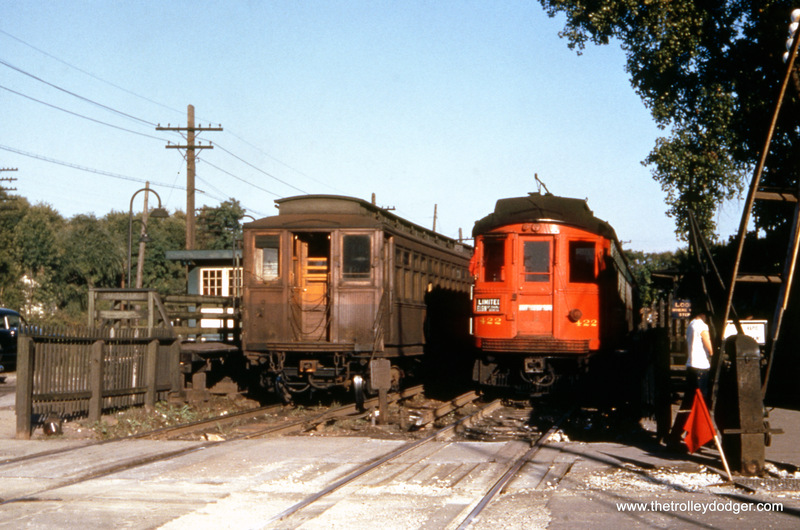 CA&E 316 and 317, possibly on the same Illini Railroad Club fantrip shown in a few other pictures in this post. 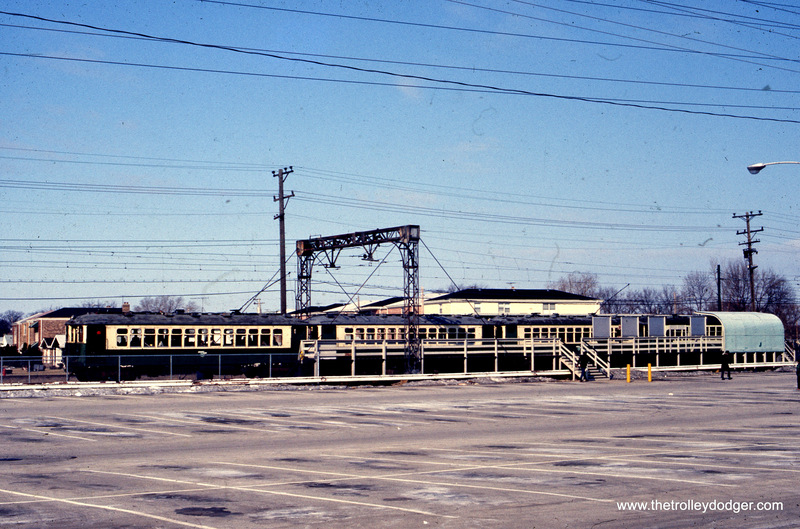 The location may perhaps be the Mt. 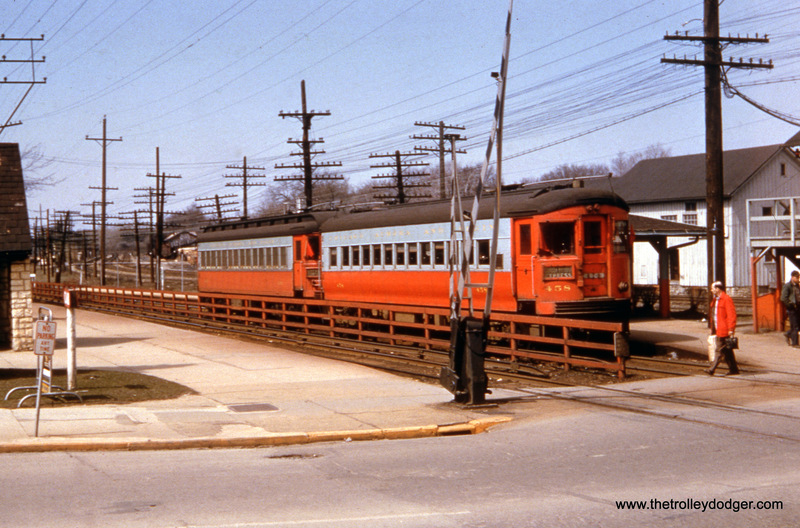 Carmel branch, which operated on overhead wire instead of third rail. 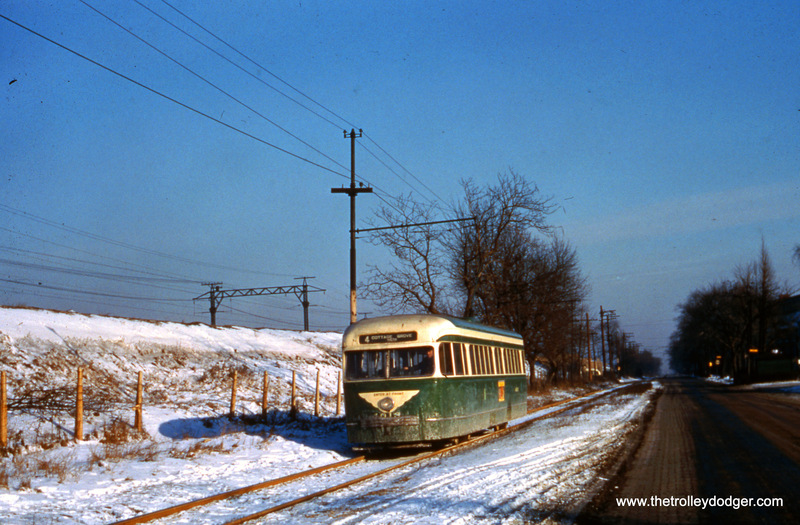 CA&E 460 is at Fifth Avenue in Maywood on March 6, 1958. 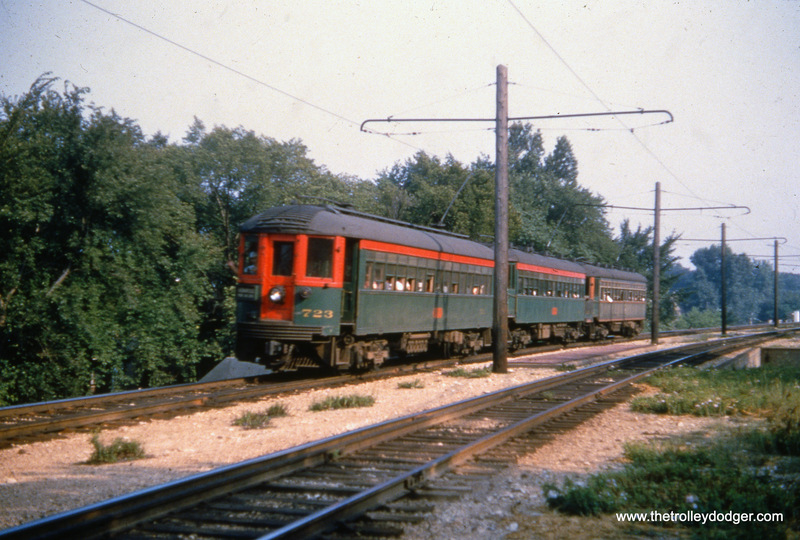 This was one of a handful of fantrips that were run after passenger service was abandoned on July 3, 1957. 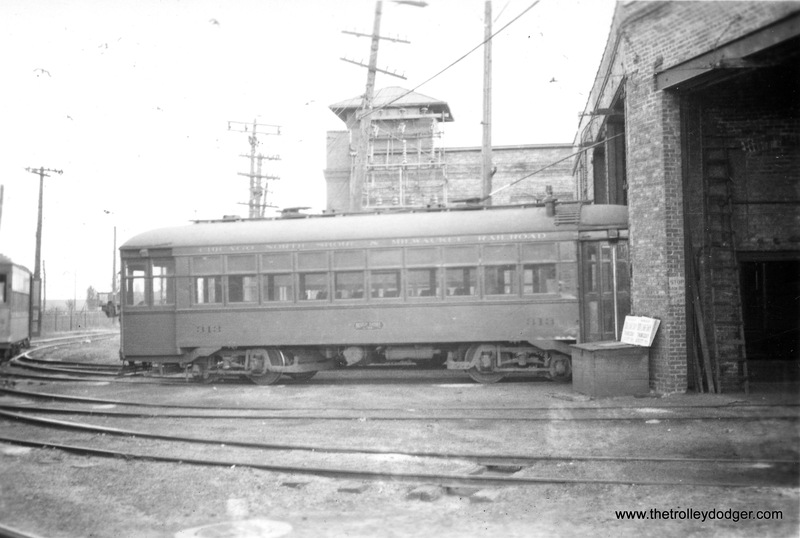 The second car may be 417. 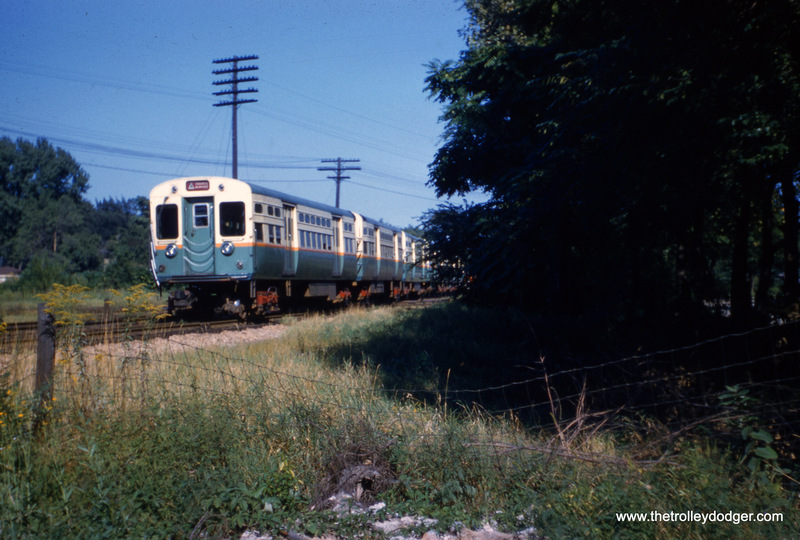 This was about as far east as trains could go at this point, as the CA&E’s suspension of service had facilitated construction of what we now know as I290 near the DesPlaines River. 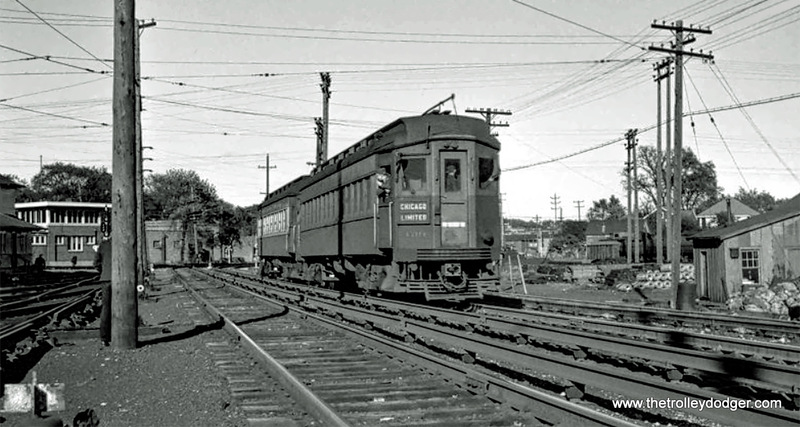 The CA&E tracks were relocated slightly north of where they had crossed the river, and were ready for service again in 1959, but by then the railroad had abandoned all service and no trains were run on the new alignment. 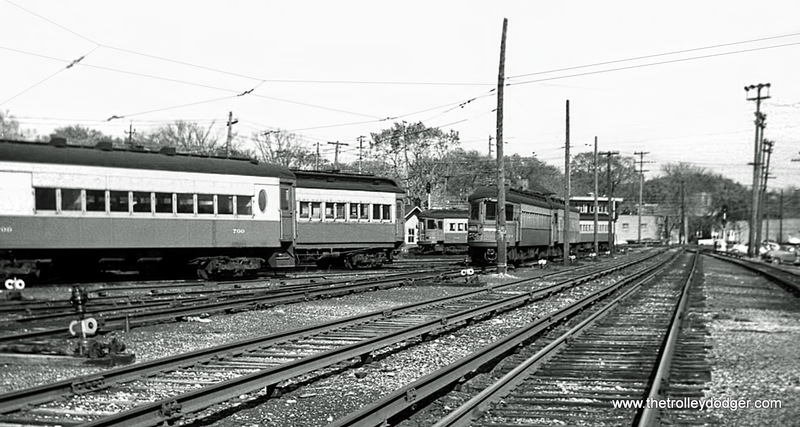 A pair of curved-sided CA&E cars, headed up by 452. 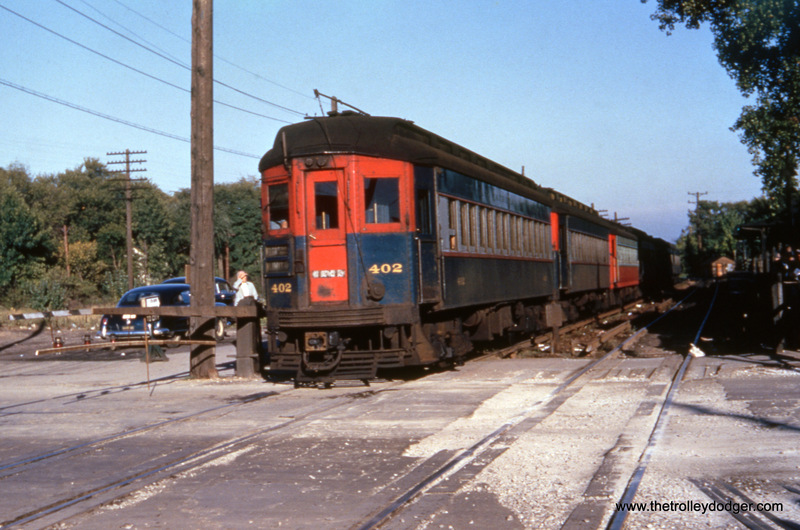 CA&E 452 at the DesPlaines Avenue Terminal in Forest Park, where passengers could transfer to eastbound CTA trains from 1953 to 1957. 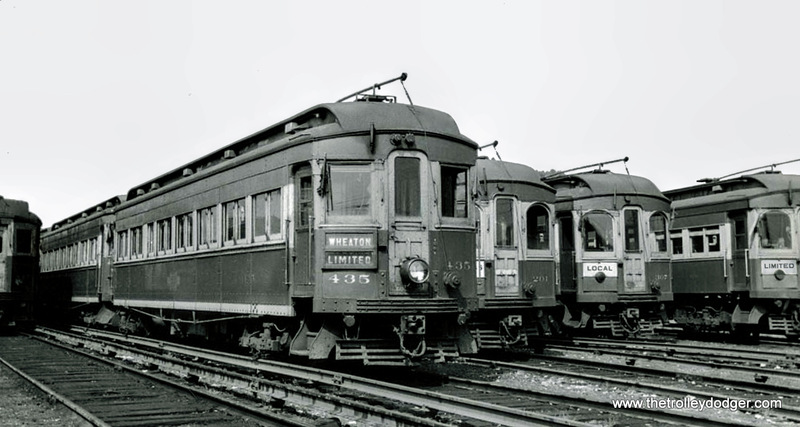 CA&E 432 and 459 on the Met “L” just west of the Loop, prior to the September 20, 1953 cutback in service to Forest Park. 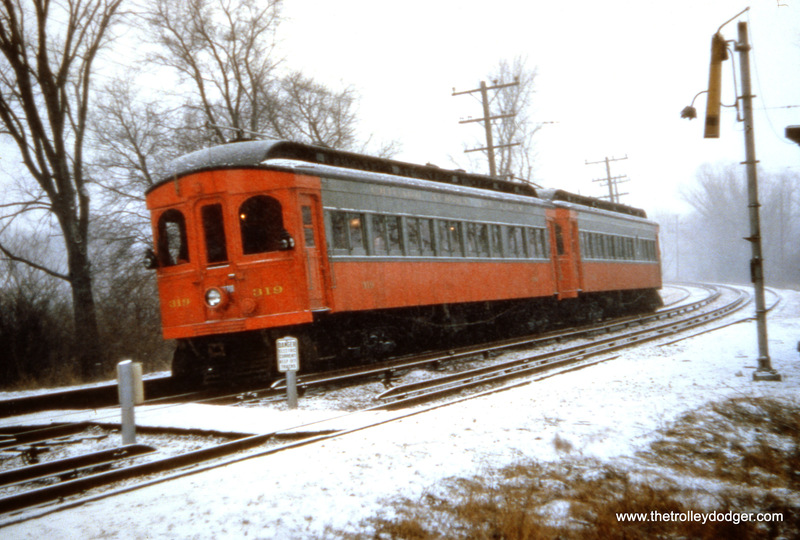 This picture may show CA&E 319 and 320 on a December 7, 1958 fantrip. 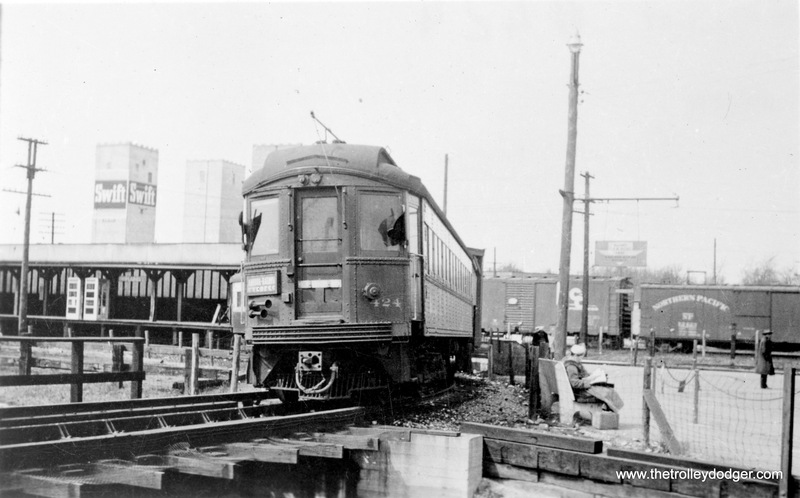 This was the last passenger operation on the railroad. 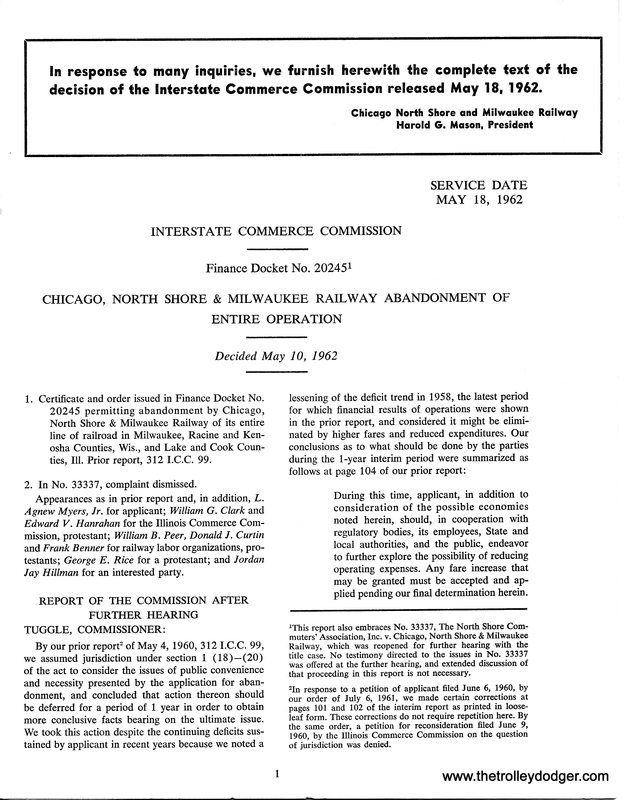 Freight service continued for a few more months before it too was abandoned. 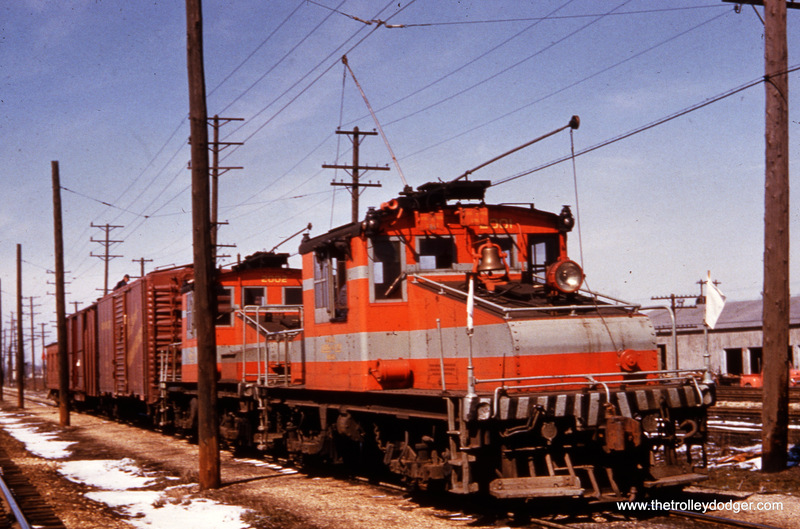 CA&E electric locos 2001 and 2002 and train. 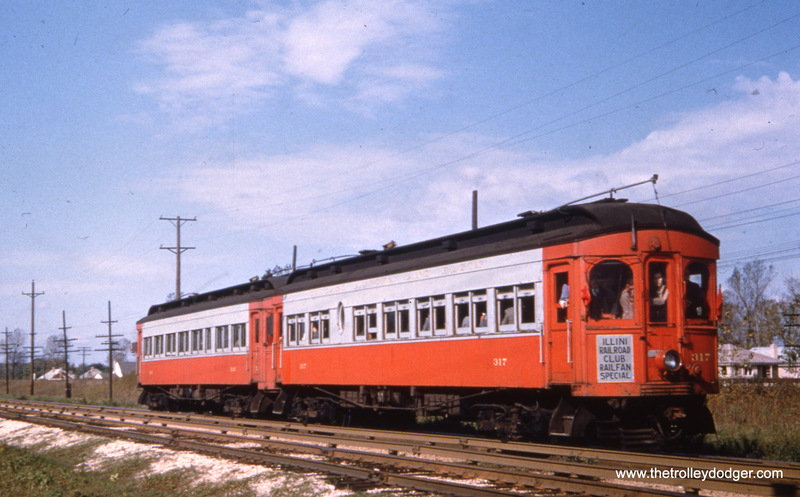 Looks like CA&E 458 and (I think) 434. 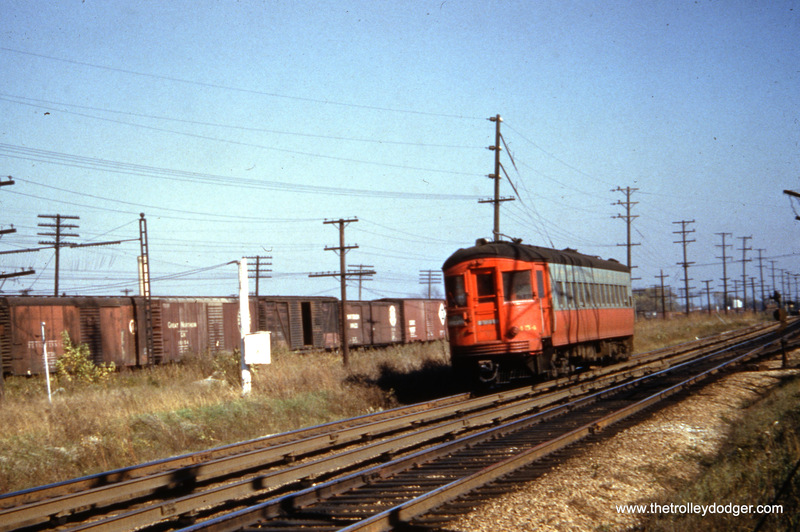 A CA&E freight train on the Mt. 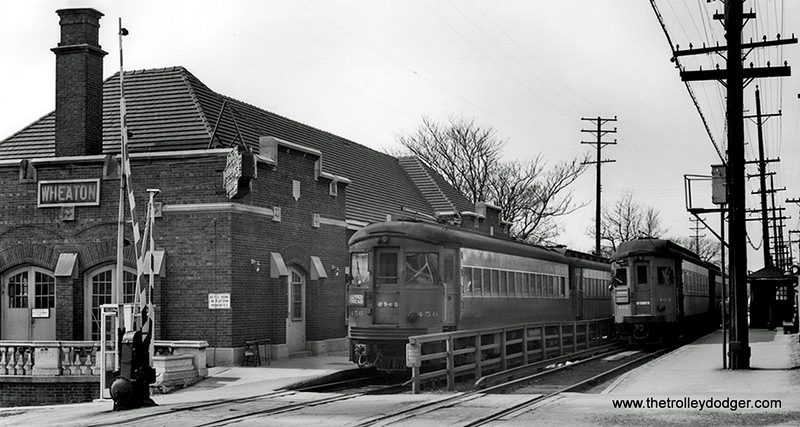 Carmel branch. 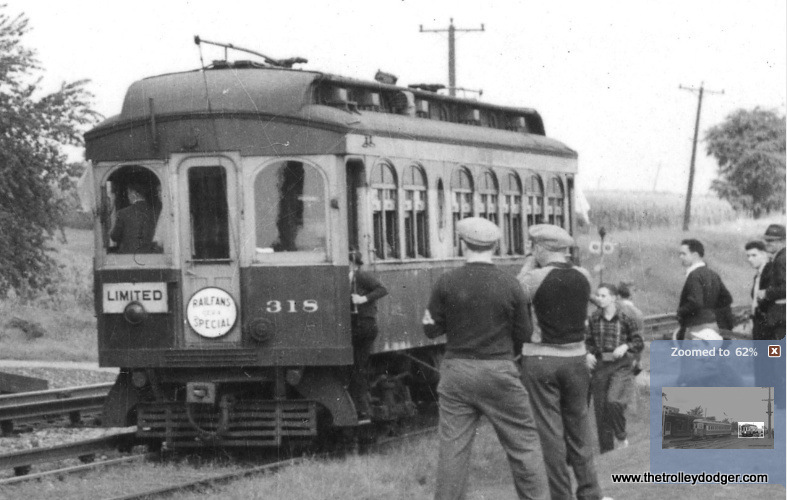 I can’t quite make out the loco’s number (400x). 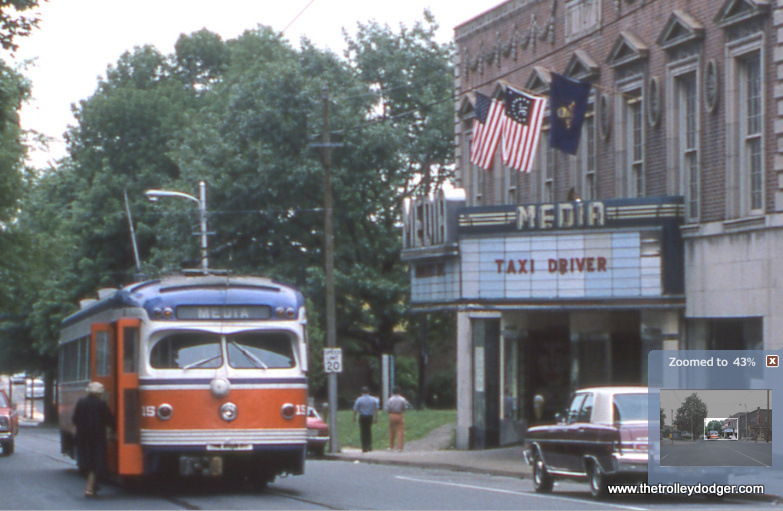 SEPTA car 15 picks up a passenger across from the Media Theater (which is showing the film Taxi Driver) in May 1976. 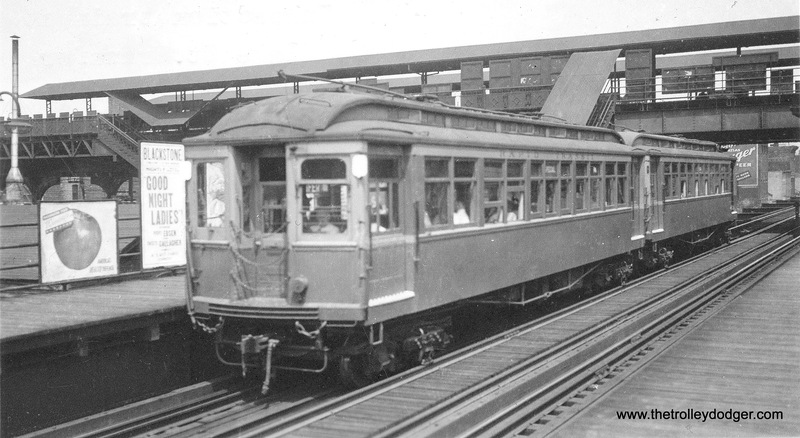 A close-up of the previous picture. 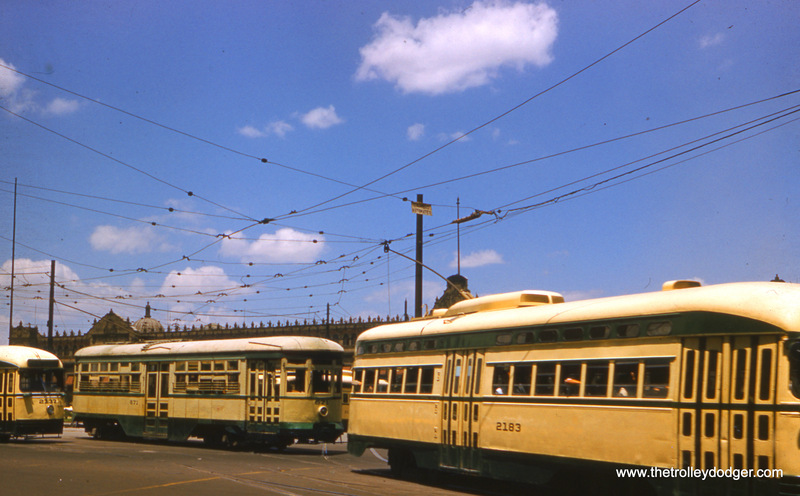 We are facing east. 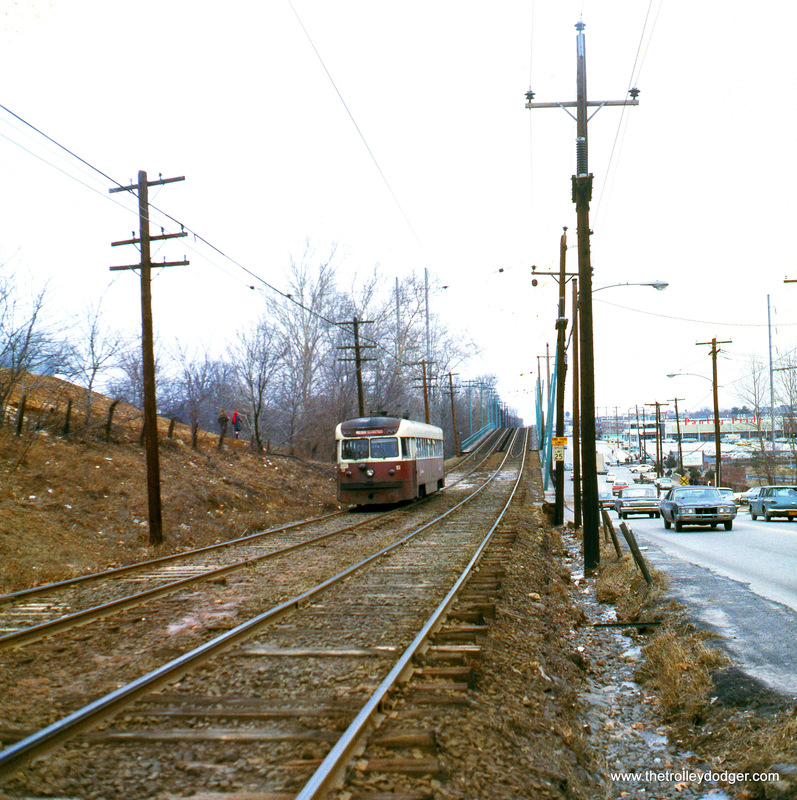 SEPTA 22 near the 69th Street Terminal in May 1976. 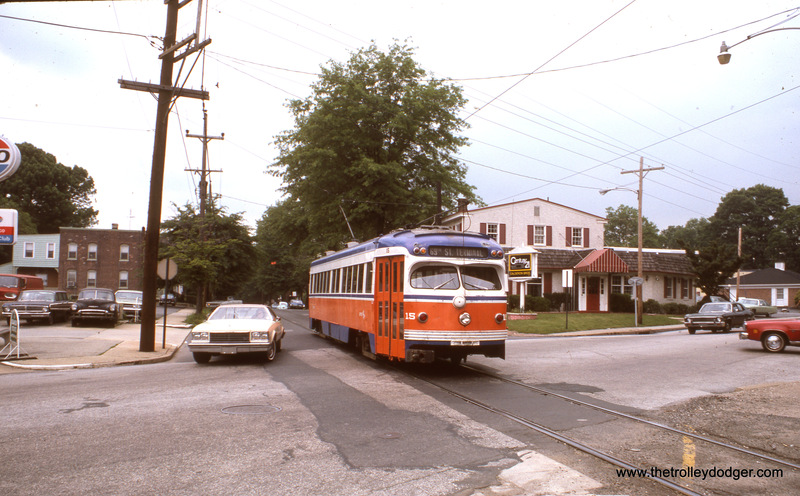 SEPTA Brilliner 4, signed as an instruction vehicle, in downtown Media in May 1976. 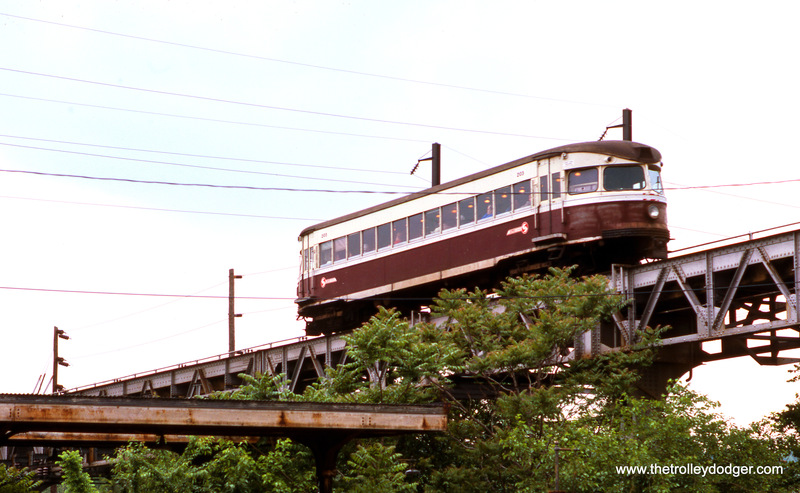 These cars continued in service into the early 1980s, when they were replaced by the current fleet of double-ended Kawasaki LRVs. 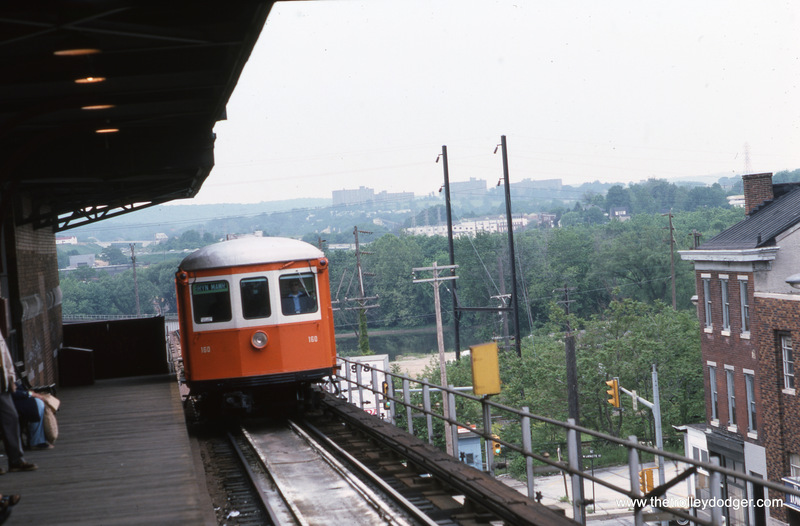 A SEPTA Bullet car crosses the Schuylkill River in May 1976. 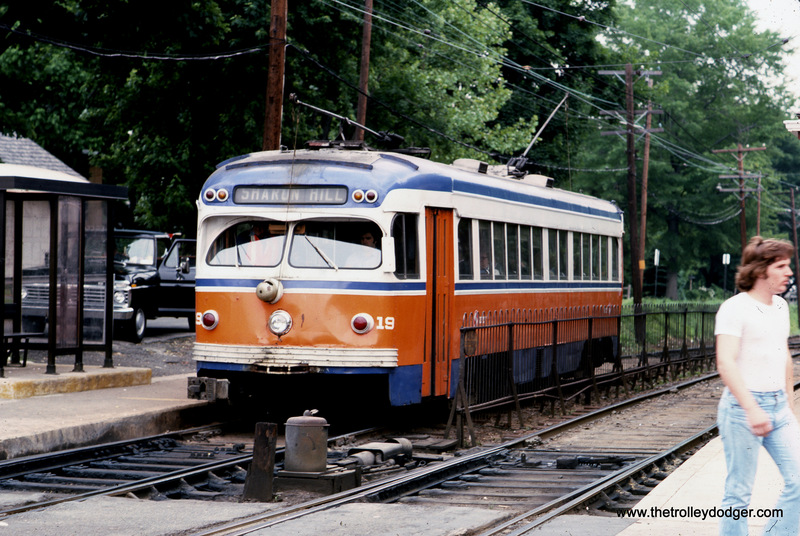 SEPTA Strafford car 160 in May 1976. 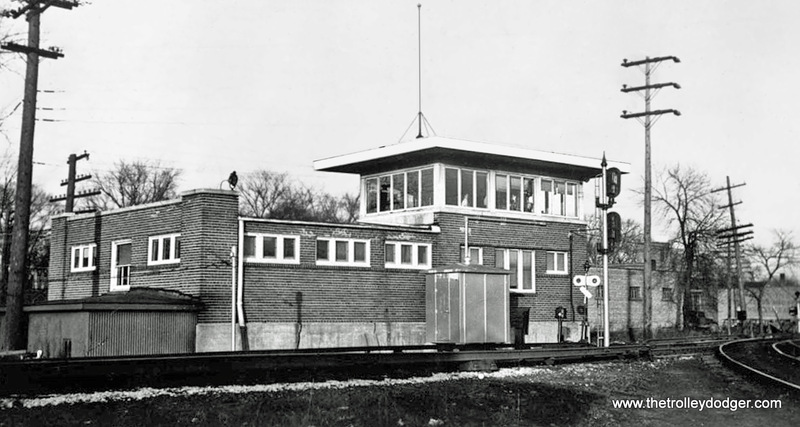 This looks like the Norrsitown Terminal. 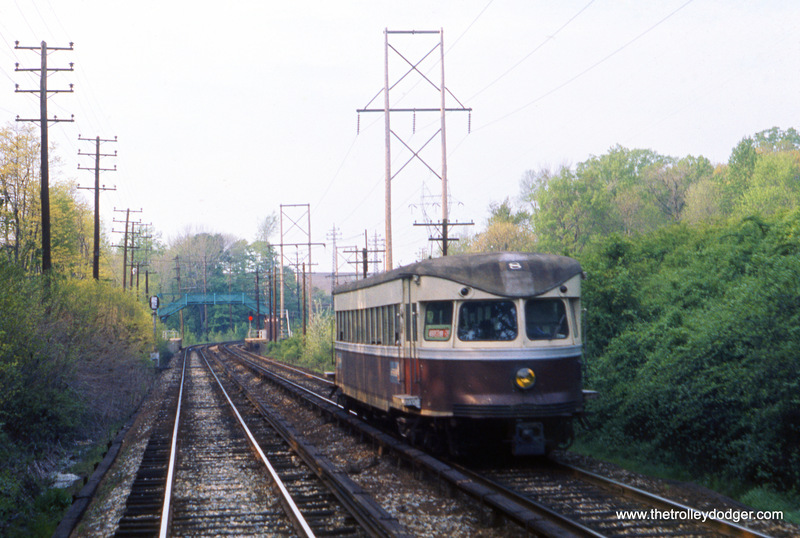 One of the Liberty Liners on the Schuylkill River bridge in May 1976. 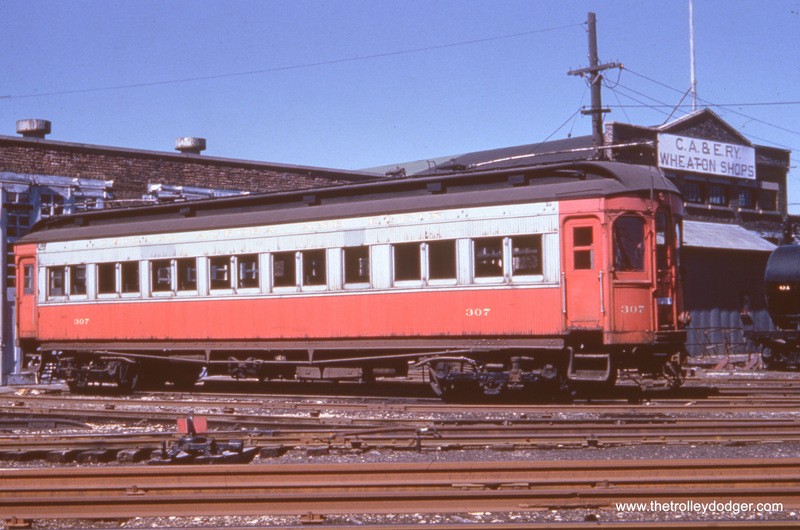 A berthed Liberty Liner in May 1976. 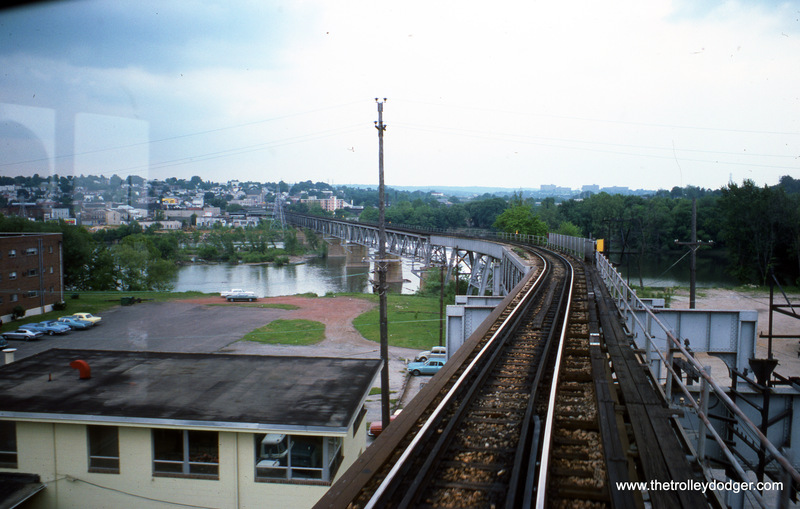 A “railfan seat” view out the front or back window of a Norristown train on the Schuylkill River bridge in May 1976. 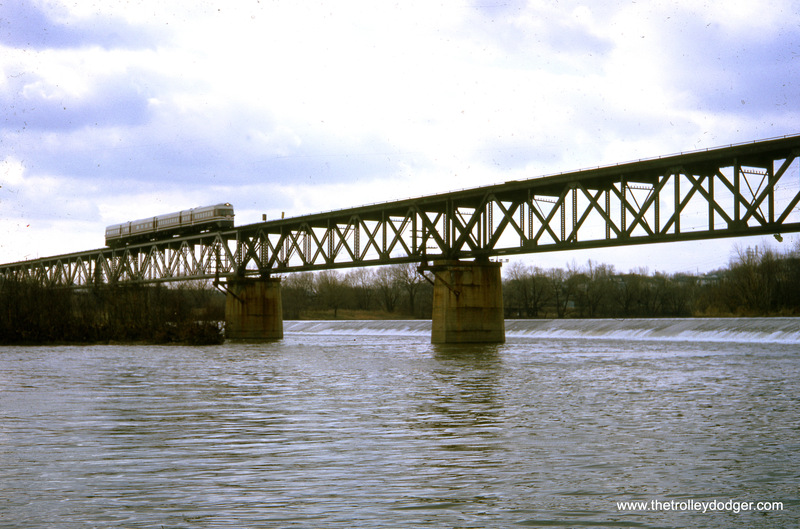 A Liberty Liner crosses the Schuylkill River on February 16, 1964, about a month after they were put in service on the Norristown line. 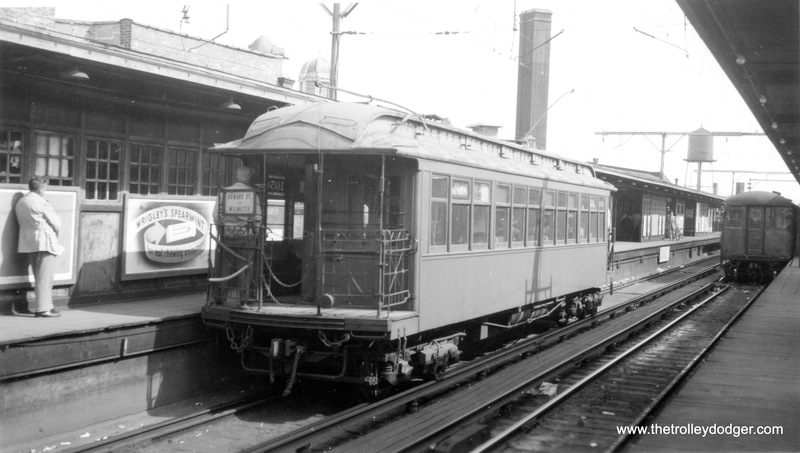 Red Arrow car 24 at the 69th Street Terminal in August 1960. 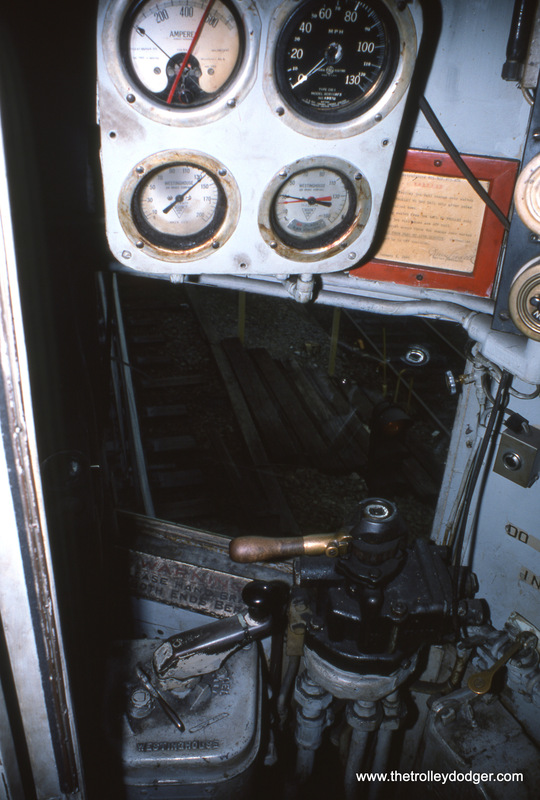 The control cab of one of the two Liberty Liners, as it looked in May 1976, near the end of service. 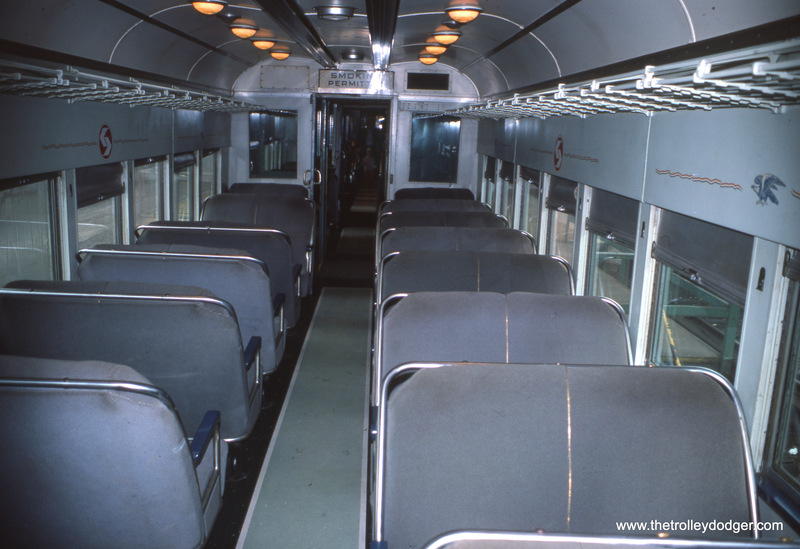 The interior of a Liberty Liner in May 1976. 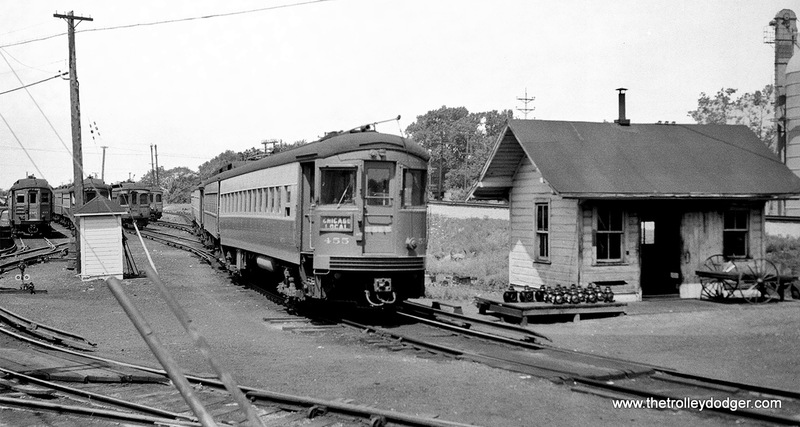 Bullet car 208 (left) and Strafford car 160 (right) in May 1976. 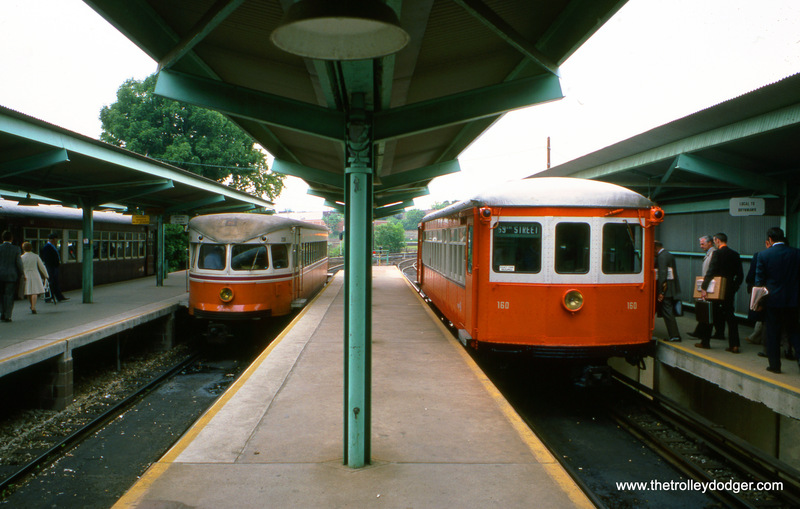 I was fortunate to ride both such cars on this line in 1985. 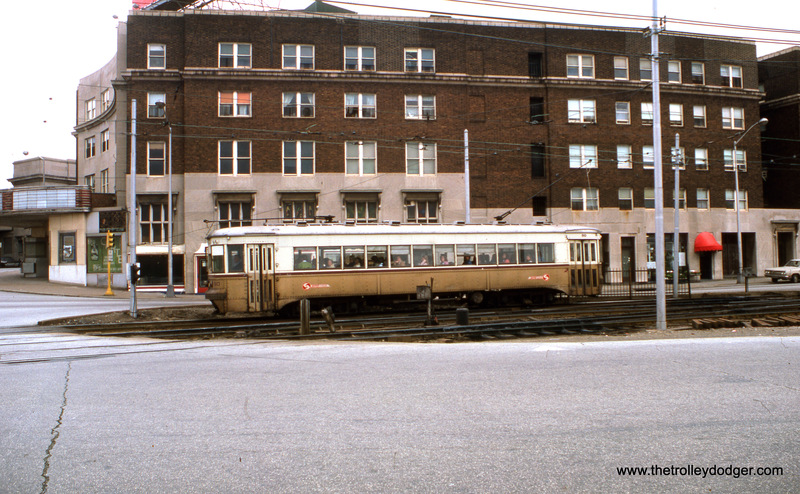 Red Arrow car 13 in downtown Media in May 1976. 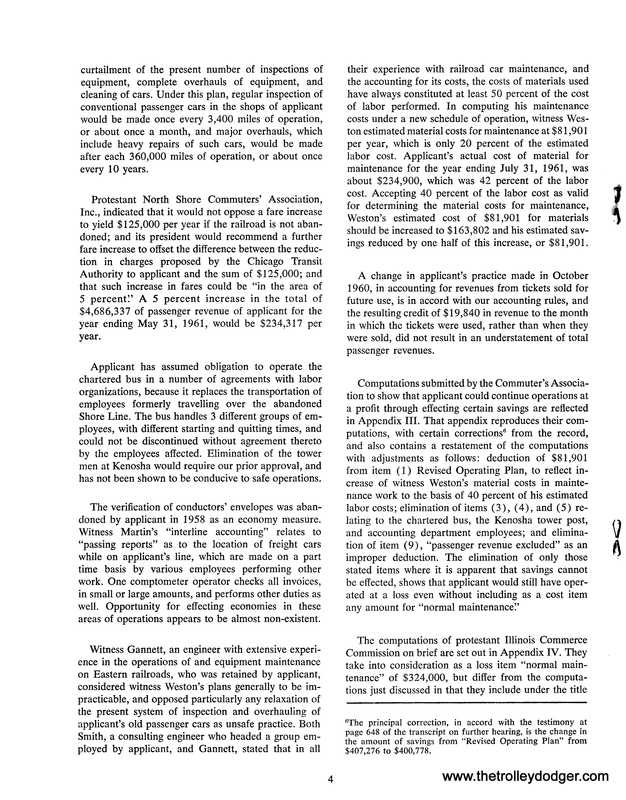 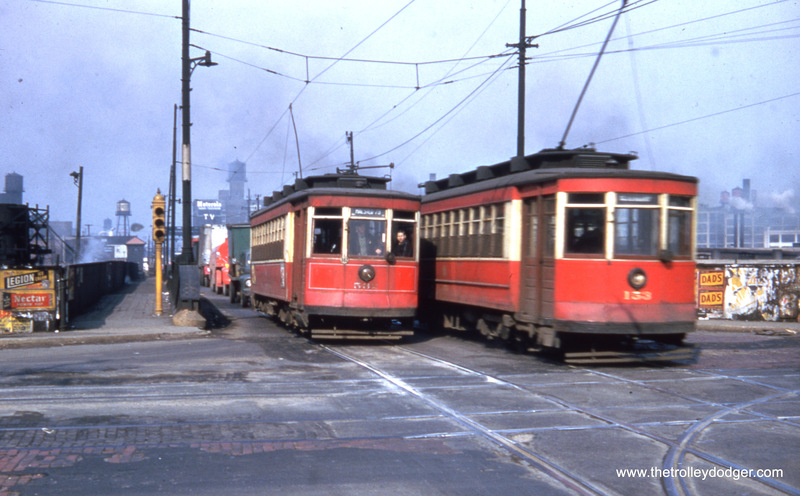 Besides the Brilliners and postwar St. Louis cars, older equipment continued in use on Red Arrow into the early 1980s. 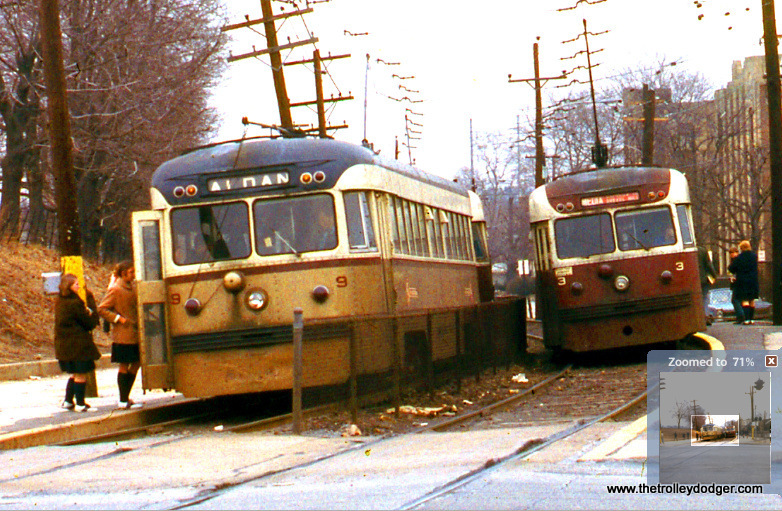 Here, we see Brill “Master Unit” 80, built in 1932, in SEPTA colors in May 1976 near the 69th Street Terminal. 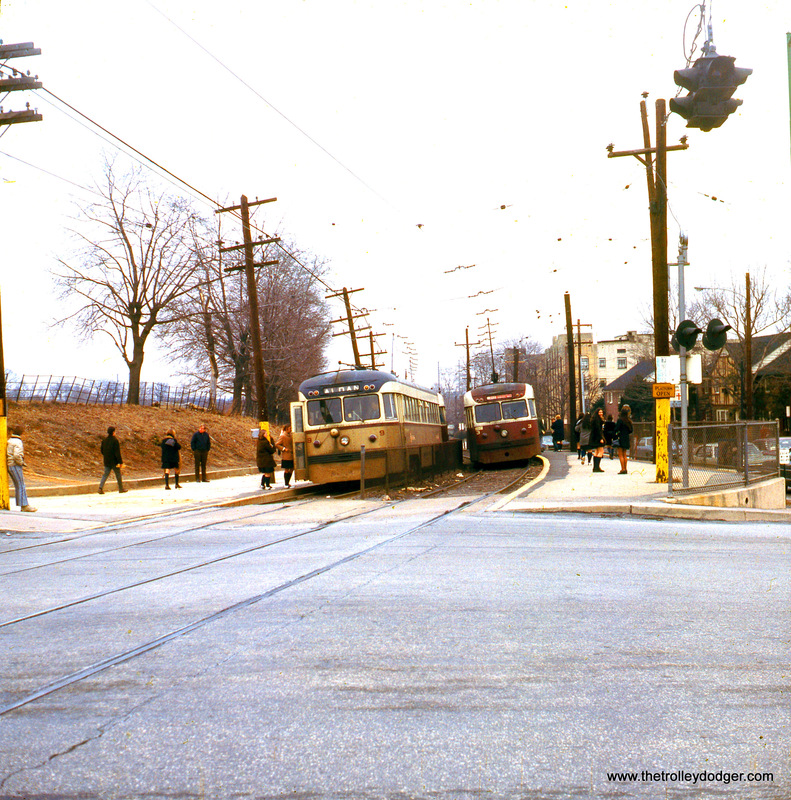 The next two scenes are from medium format transparancies, which were mounted in oversized mounts as seen here. 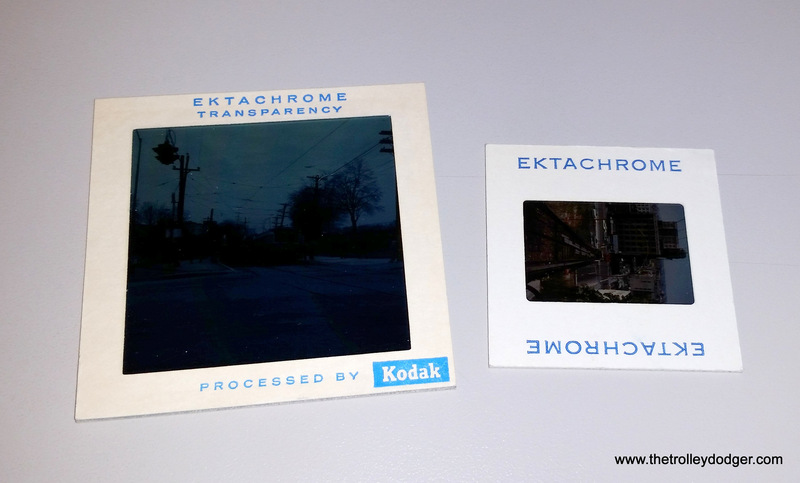 Standard 35mm slide mounts are 2″ x 2″, and these are 2.75″ x 2.75″. 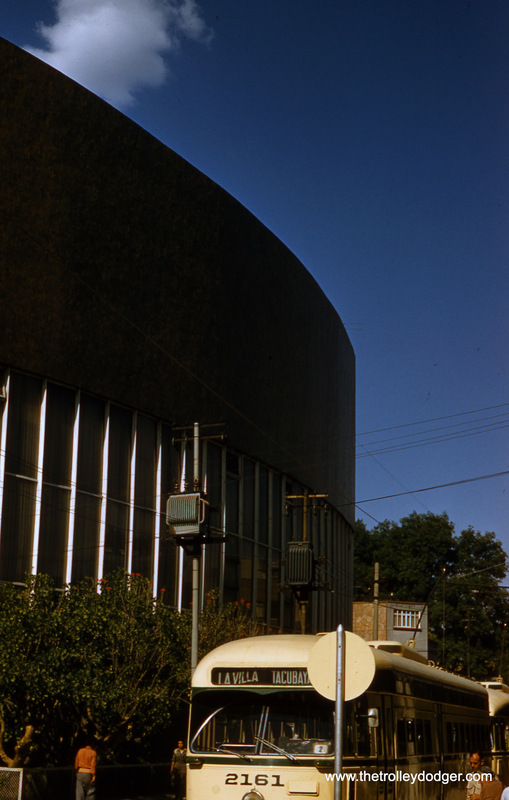 I don’t know if slide projectors were made that could handle these giants. 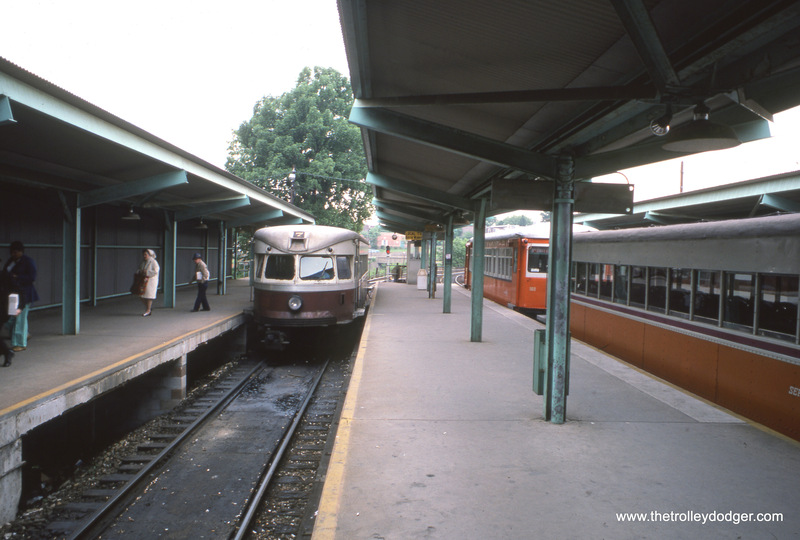 You wouldn’t exactly call these “super slides,” since that term refers to size 127 or 828 film (which is larger than 35mm) mounted in 2×2 mounts. 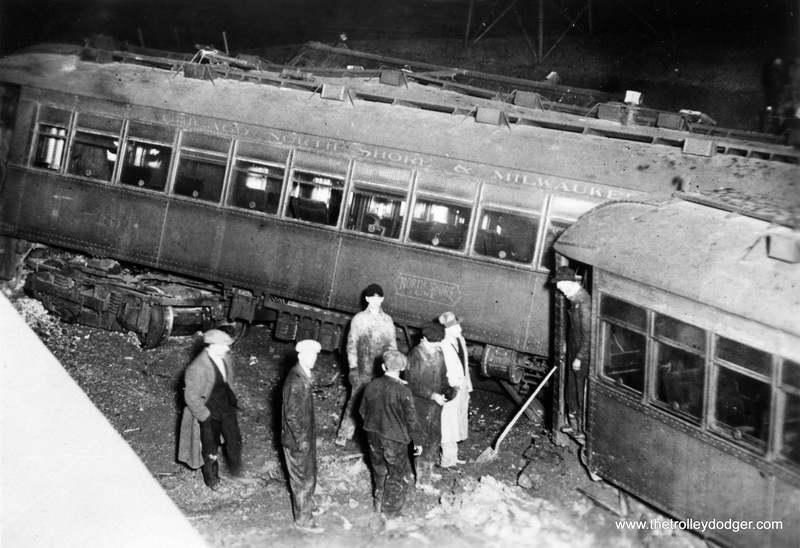 A close-up of the previous scene. 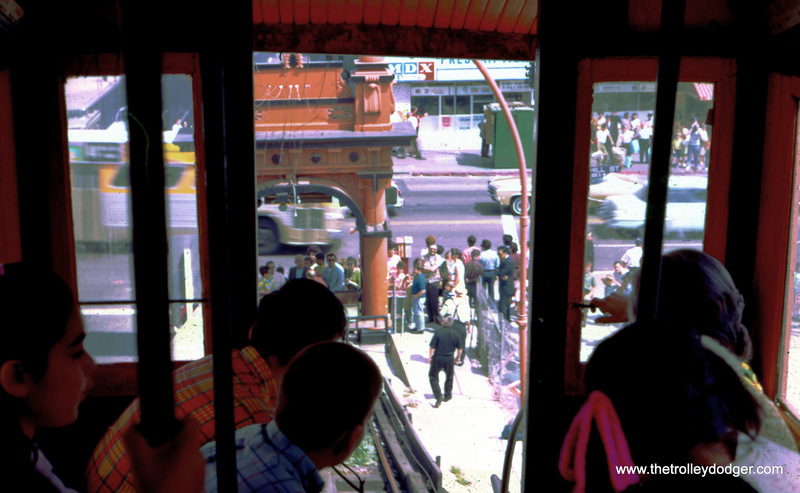 We have posted several pictures of Angel’s Flight before. 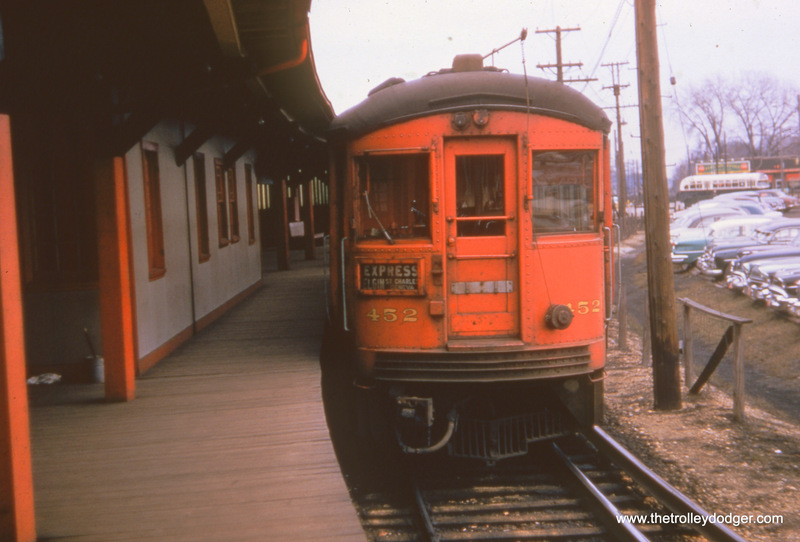 To find those, type Angel’s Flight in the search window at the top of this page. 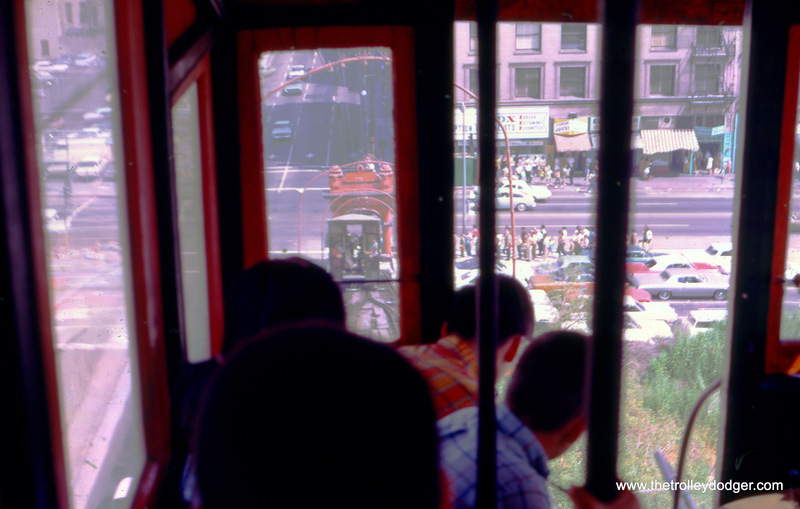 The view looking down the Angel’s Flight Railway in August 1966. 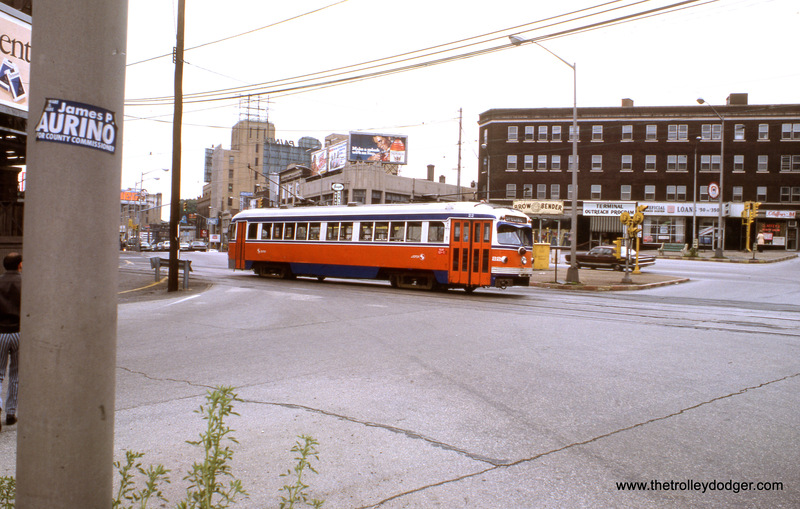 Nearby buildings had already been torn down as part of the redevelopment of this area, which included leveling part of Bunker Hill. 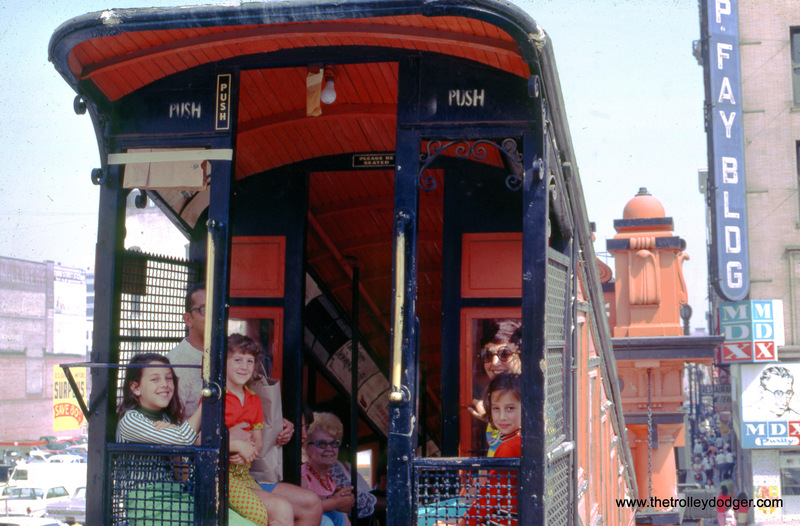 A family rides the Angel’s Flight funicular in Los Angeles’ Bunker Hill neighborhood in May 1969. 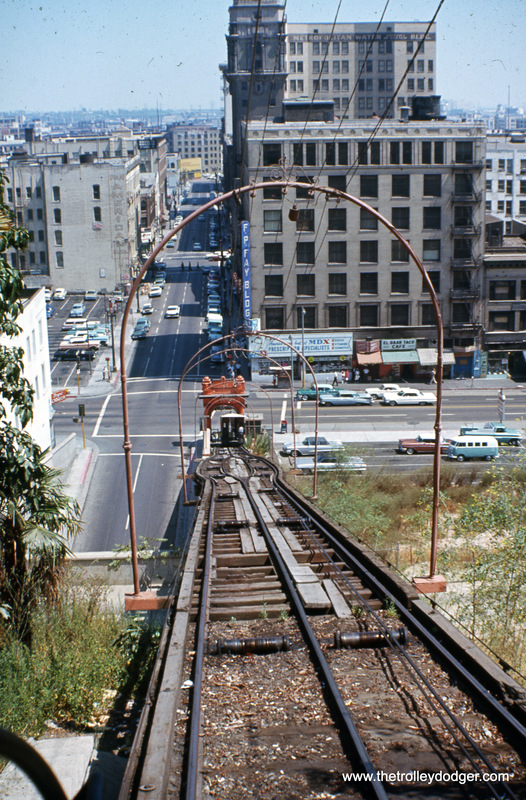 Service ended later that year, and Angel’s Flight was dismantled and put into storage for many years before being reopened a short distance from here. 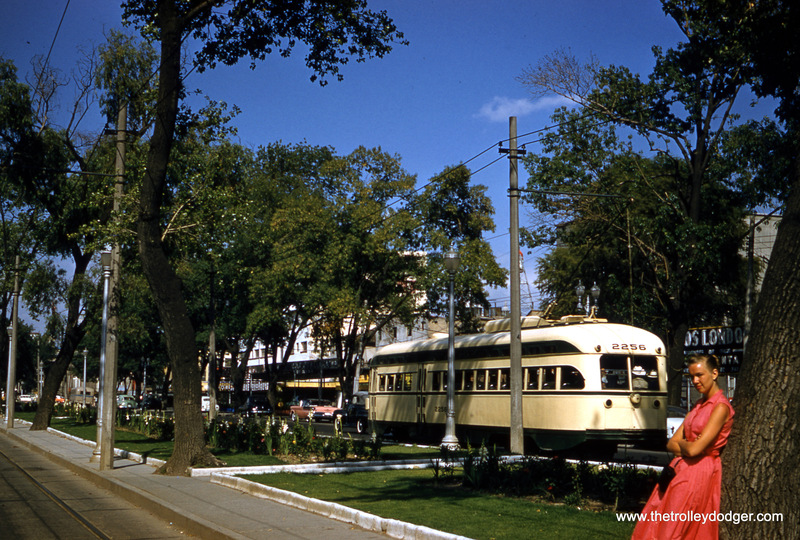 This, and the three pictures that follow, were taken in Mexico City in May 1957, apparently by a pretty good photographer. 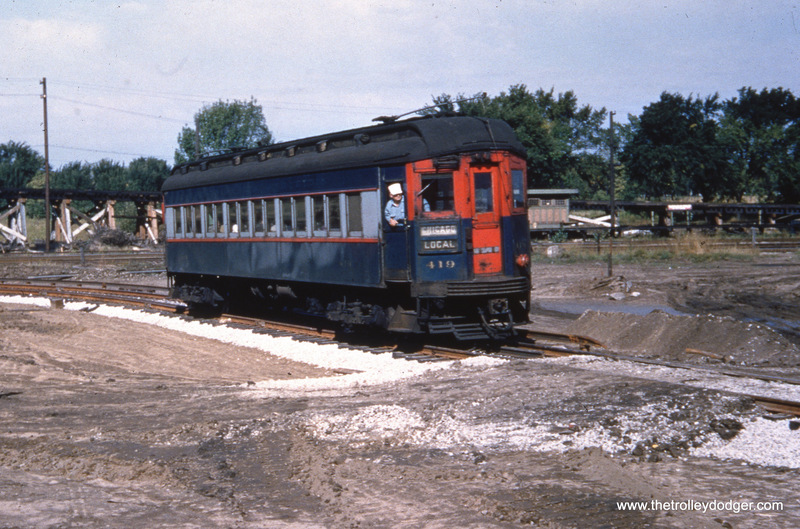 Mexico’s last remaining streetcar line (Tasqueña–Xochimilco) was converted to light rail in 1986. 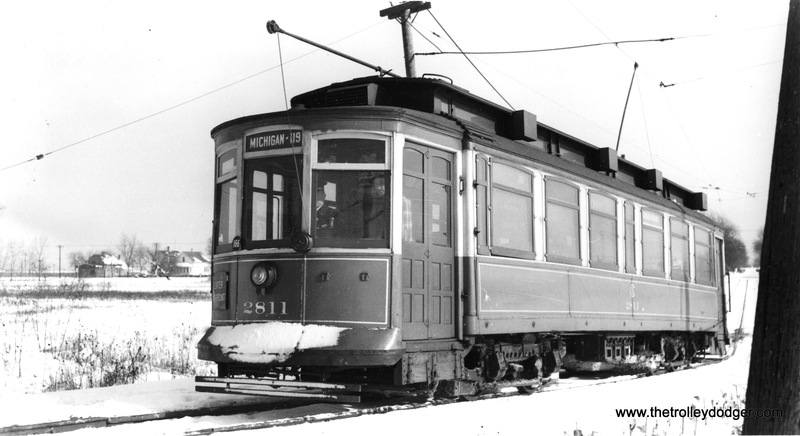 The PCCs were purchased second-hand from North American properties, including Detroit. 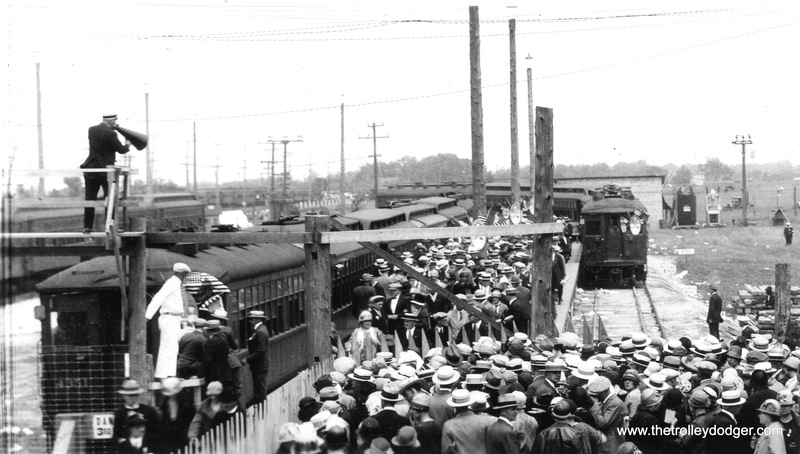 On September 8th-9th, a group of men and women will converge upon Indianapolis, IN for the annual gathering of the Hoosier Traction Meet. 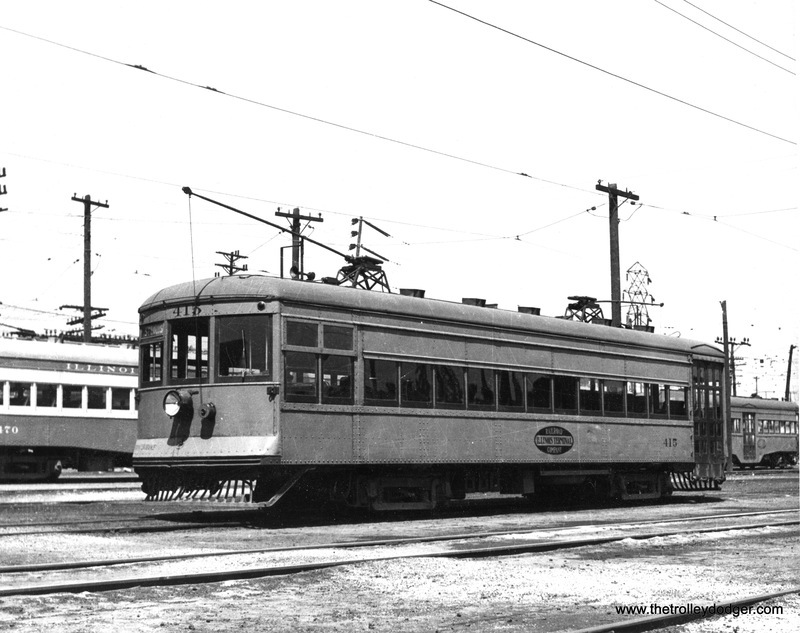 Considered by many to be the premier event of its kind, this conference of interested enthusiasts, historians, published authors and rail and transit professions consists of two complete days of audio/visual presentations on the history, operation and technology of electric railway and transit operations throughout the Midwest. 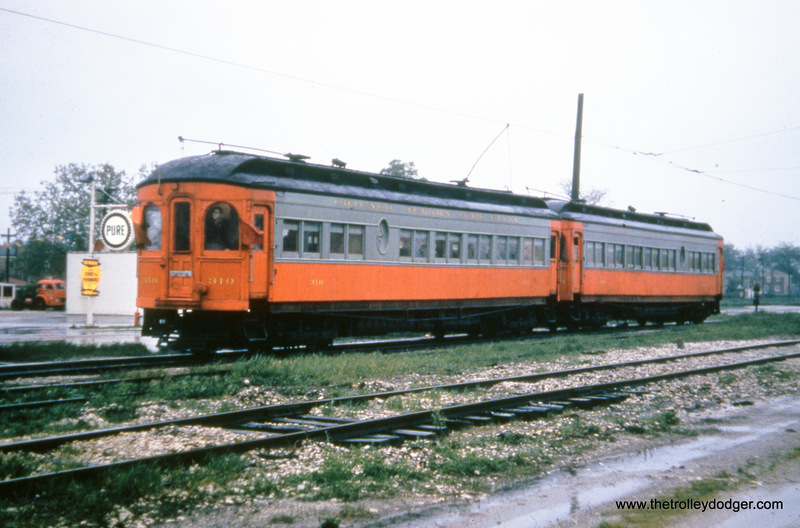 In addition to the numerous auditorium events, there is an exhibition of electric rail and transit, where items of interest from transfers and photographs to fare boxes and operating models are for sale. 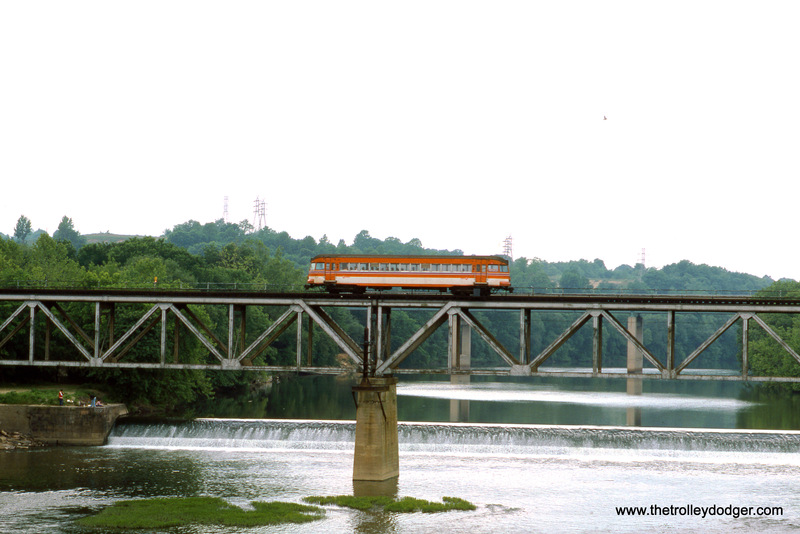 This year marks the 34th annual Hoosier Traction Meet. 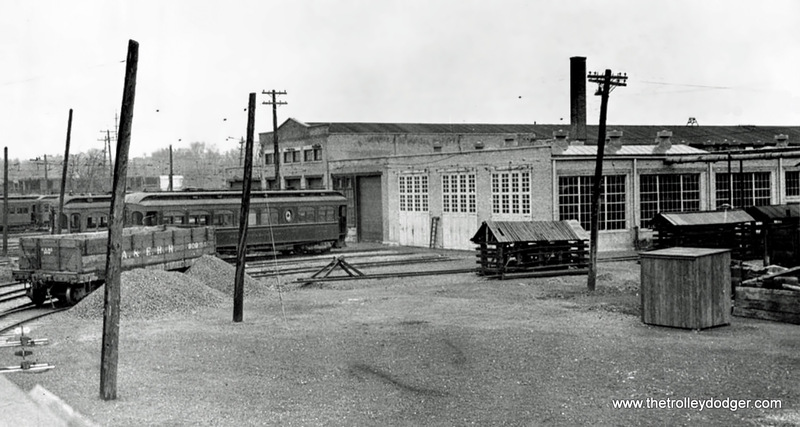 Founded by Dr. Howard Blackburn, the Hoosier Traction Meet features, in addition to its auditorium events and exhibition hall, a opportunity for those interested in electric railway and transit to exchange ideas and swap stories with old acquaintances and meet new friends. 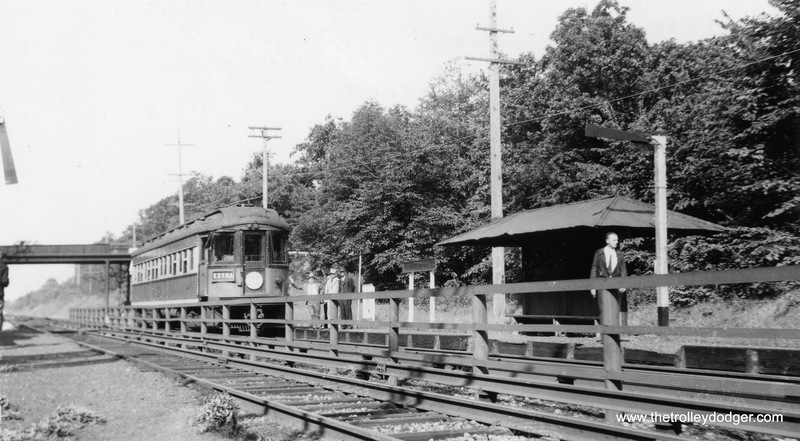 Allow me to take this opportunity to cordially invite each and every one of you to this special event — an event which has been the rail and transit highlight of my year for nearly twenty years. 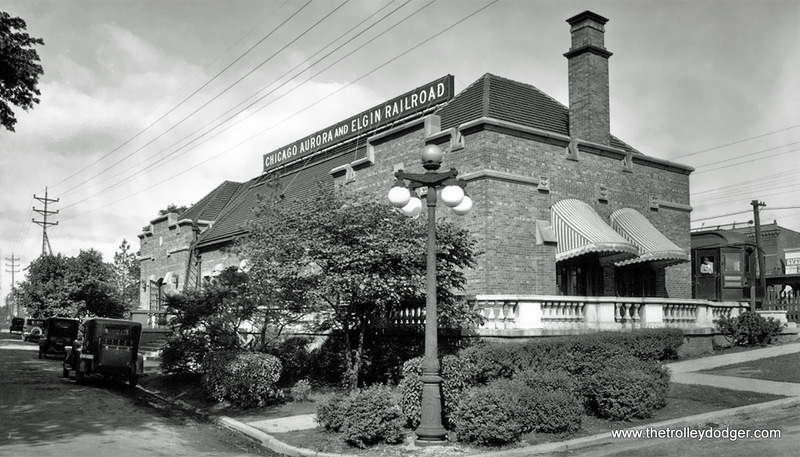 Note that by mailing in your reservation in advance, the admission price is half that paid at the door — now that’s a bargain in anybody’s book! 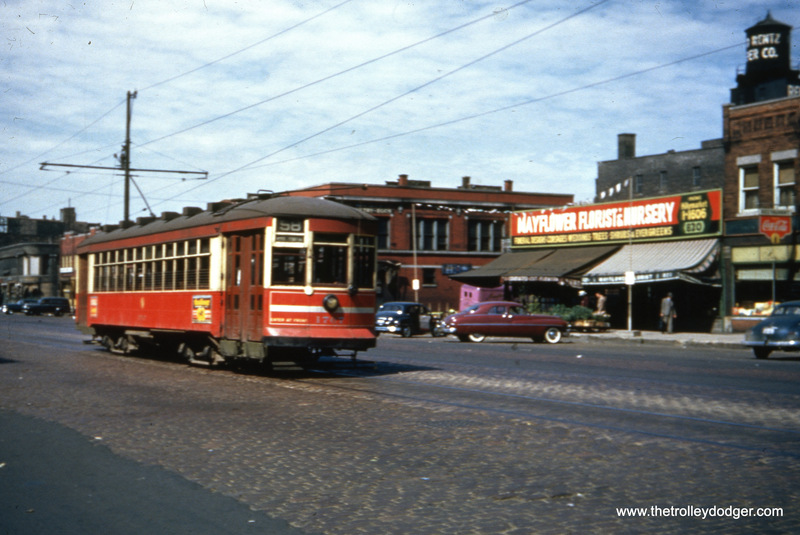 In addition, there are numerous restaurants and shops nearby, allowing plenty of opportunities to and have lunch or supper with your fellow enthusiasts. 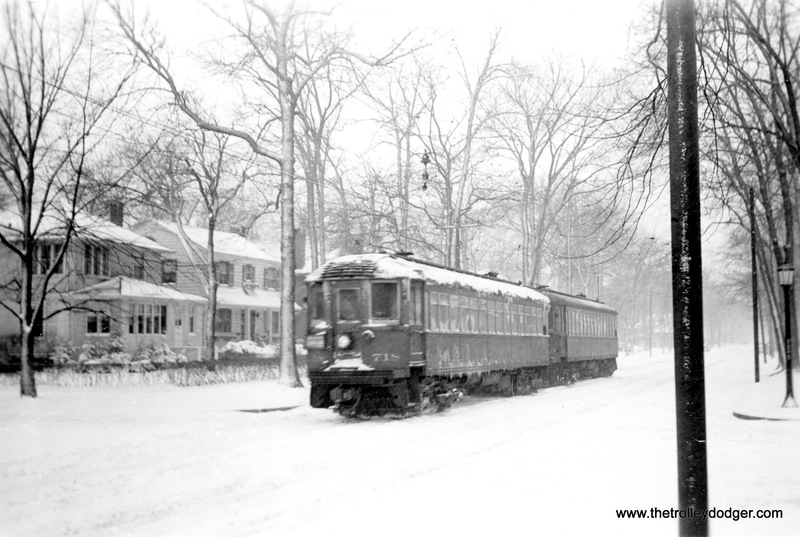 Please consider joining us for this year’s event. 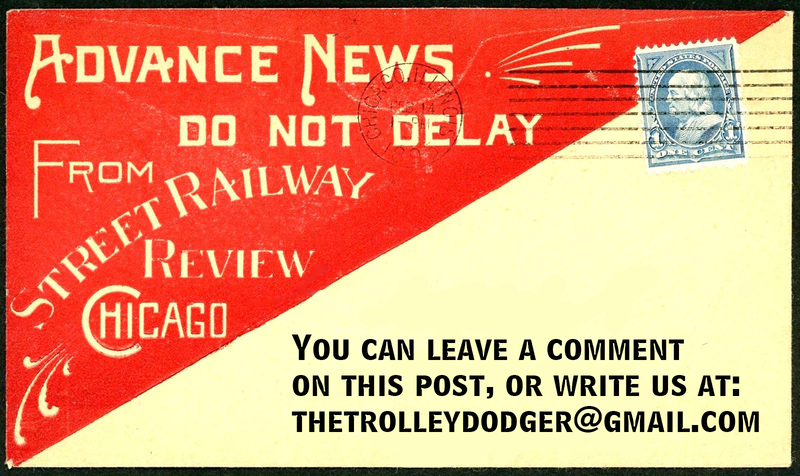 This is our 179th post, and we are gradually creating a body of work and an online resource for the benefit of all railfans, everywhere. 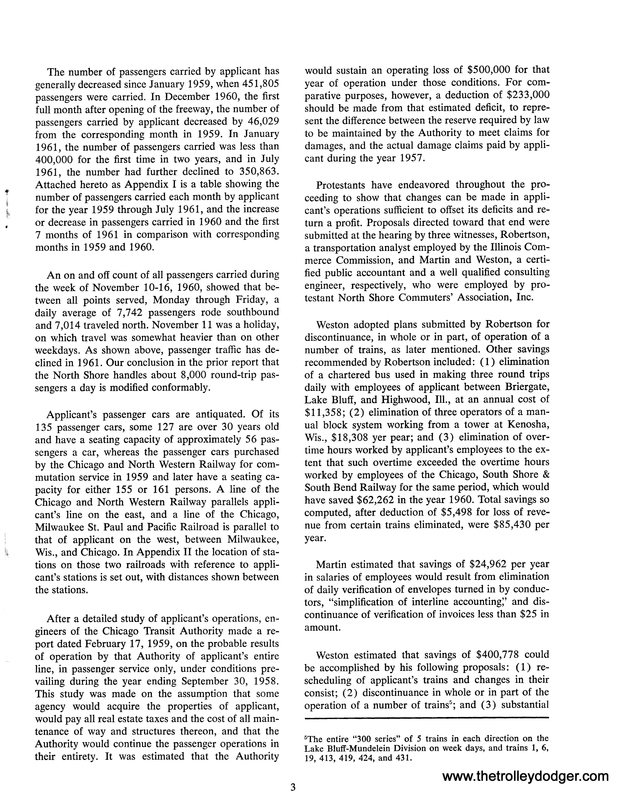 To date, we have received over 267,000 page views, for which we are very grateful.